Time and time again, nature shows us that fact can be stranger than fiction. Here are 25 of the most wondrous and outlandish animals to walk on, crawl over, swim through, and soar above this planet. Warning: Some of the pictures below may be disturbing to some viewers. For each of the entries in this list, the name of the creature will be listed below the pictures. I challenge you to see how many you can name before you get to the text! The red panda (Ailurus fulgens) is also known in some areas as the shining cat. It is native to the eastern Himalayas and southwestern China. It is the sole member of its genus, Ailuirs. Its diet mainly consists of bamboo, but it is an omnivore and eats anything the woodlands provide. Its ability to eat bamboo rests with it's strong and sharp curved claws. A distant relative of the giant panda, red pandas have no more than 10,000 adults left in the world, though they are protected by several countries. Experts have blamed the population decline on the loss of natural habitat, and poaching. Like giant pandas, they also have false thumbs that are extensions of the wrist bone. These thumbs aid tremendously in gripping things. Red pandas are typically shy creatures that live solitary lives except around mating season. Females give birth to one to four cubs, usually in the spring and summer. Young pandas remain in their nests for about 90 days before venturing out on their own. The red panda had been previously classified as a relative of the raccoon (for obvious visual reasons), but later this was found to be inaccurate. 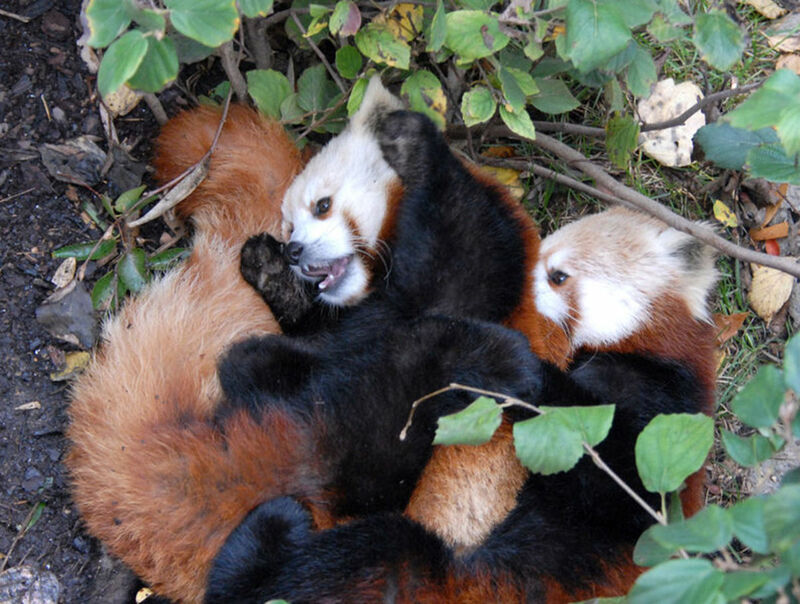 Though much smaller than their distant cousins, red pandas are indeed part of the panda family. 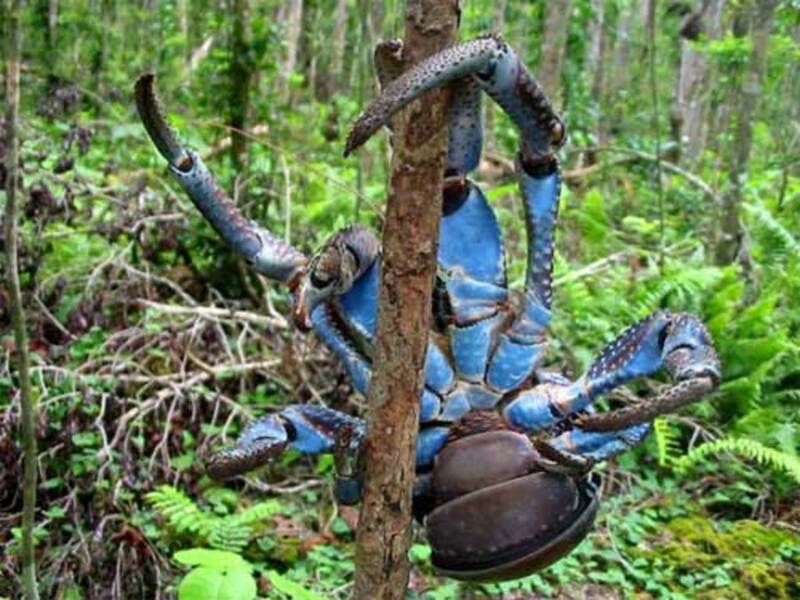 With the exalted title of the largest land-based arthropod in the world, it's a wonder that the giant coconut crab doesn't get more press than it does. These animals are generally nocturnal and live in many coastal and forest regions of Indo-Pacific islands. They get their name from their ability to climb coconut palm trees, where they clip off the coconuts, return to the ground, peel of the coconut husks, and hammer the fruits open with rocks or their large claws. 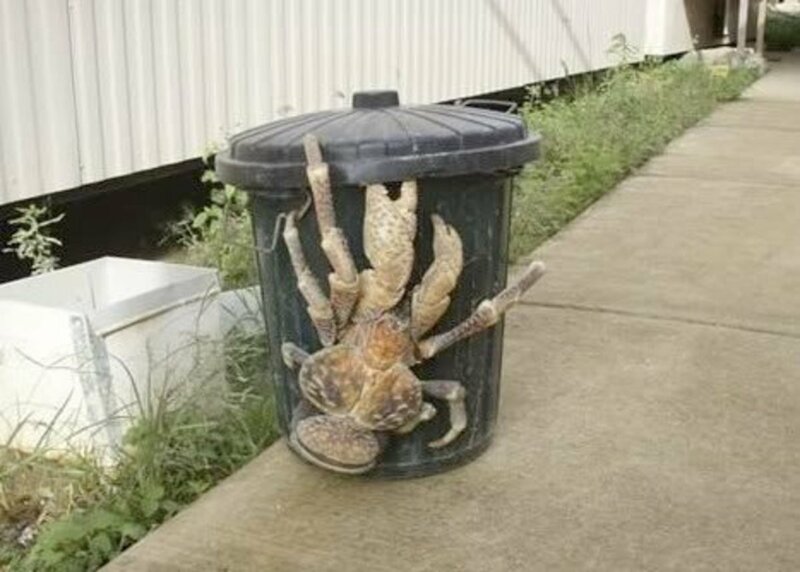 On some islands, the giant coconut crab is also known as the robber crab or palm thief because of its habit of taking shiny items. 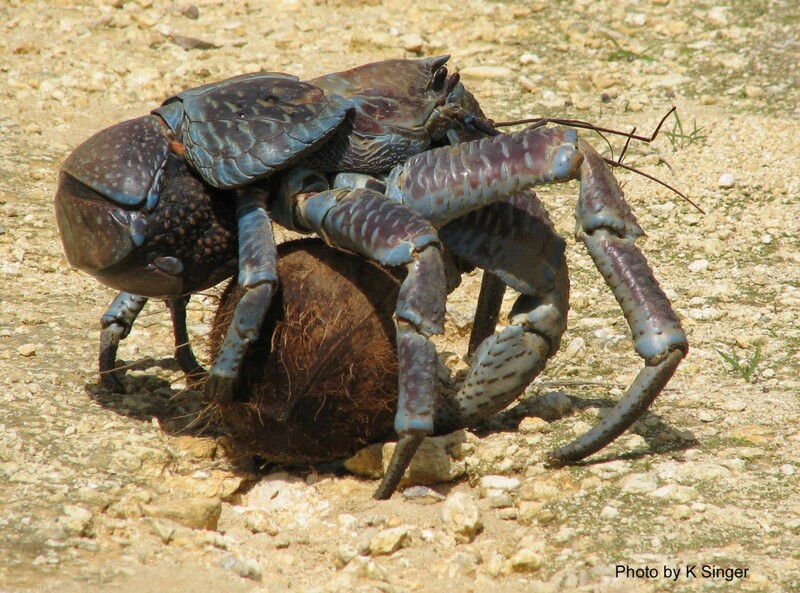 Giant coconut crabs primarily eat nuts, seeds, and fleshy fruits such as coconuts. However, as omnivores, they will consume other items as well. These large crabs have a body length of about 16 inches and a leg span of three feet. They can weigh up to nine pounds. There are even accounts of them growing to become more than six feet across and weighing up to 30 pounds. They can also live more than 30 years. These crabs are unusual because they can't swim. Though they require water to survive, even smaller ones can drown in water. They have an organ called a branchiostegal lung, which can be described as a cross between gills and lungs. This lung allows the crab to take oxygen out of the air but also has to be kept moist to function. Because of the nature of this lung, one of the most likely times to see coconut crabs is during a rainstorm, as the moisture allows them to breathe more easily. Though an adolescent has many predators, the only danger to a fully grown coconut crab is mankind—the crab is a delicacy as well as an aphrodisiac in Southeast Asia and the Pacific Islands. Female crabs are particularly in high demand if they have eggs that can be harvested. The Dasymutilla occidentalis are actually wasps. 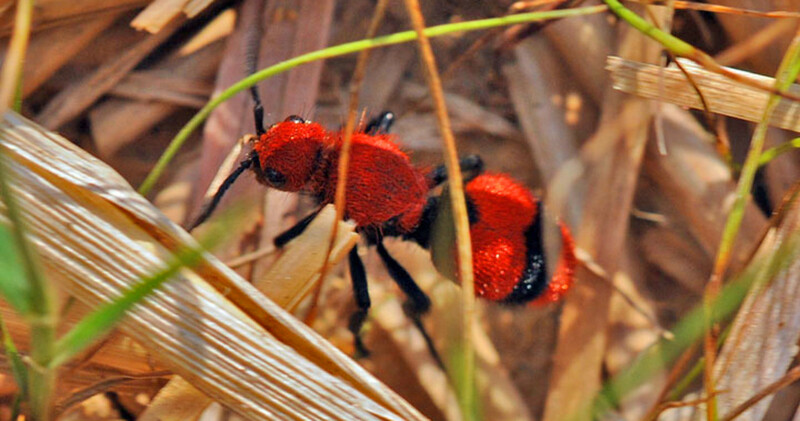 The females of the species are wingless and covered with red hair, giving it the appearance of an ant. The males of the species have wings, but cannot sting. 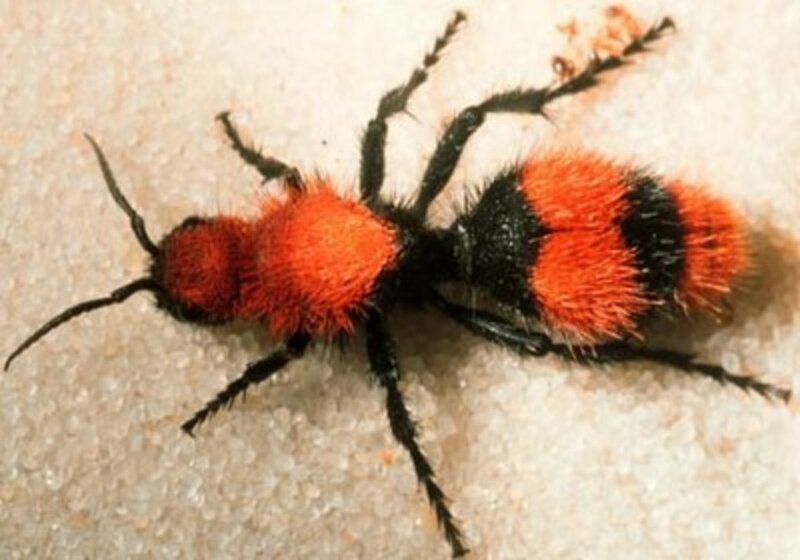 The red velvet ant is common in southwestern America and Mexico. The wasp is also known as the cow killer, a misleading name because not many cows are stung, and it would be absurd to think that one bite would kill a cow. 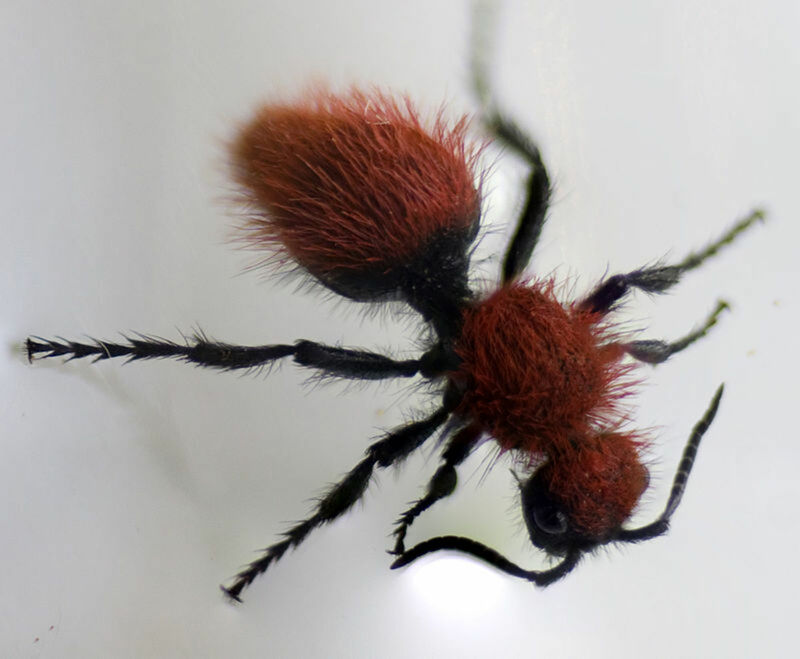 Instead, the name is a reference to the insect's severely painful sting, as if to say, "that hurt enough to kill a cow". Sloths are believed to have been around for about 60 million years and are distantly related to anteaters and armadillos. What most of them have in common is that they all mainly eat leaves, insects, small reptiles, and birds. 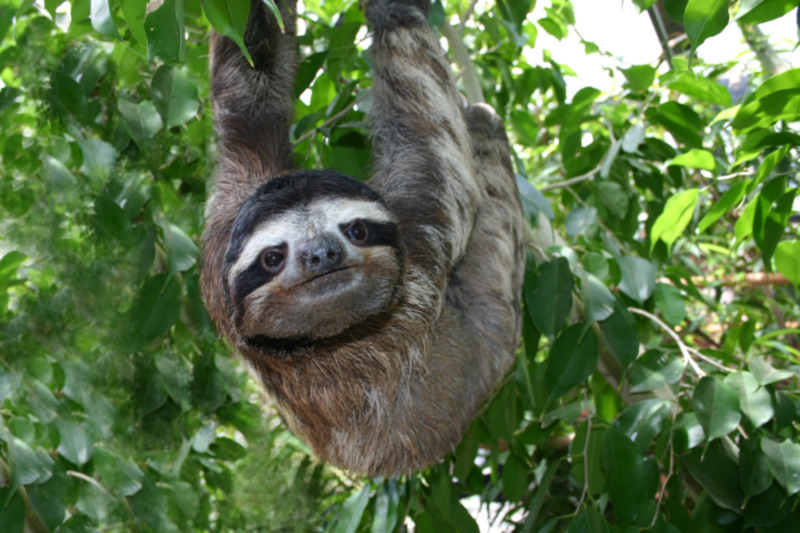 Sloths have large slow-acting stomachs with multiple compartments. It can take a month or more for a sloth to digest something fully. These slow-acting stomachs in turn lead to a very slow digestive process and metabolism. Their metabolic rates are less than half of that of any other mammal its size, and they maintain a body temperature between 86 and 93 degrees (even lower when resting). Sloths live in the rainforests of South and Central America, and despite their usually slow speed, they are not defenseless creatures. They will defend themselves if attacked, but it rarely comes to that because most sloths rarely visit the ground. 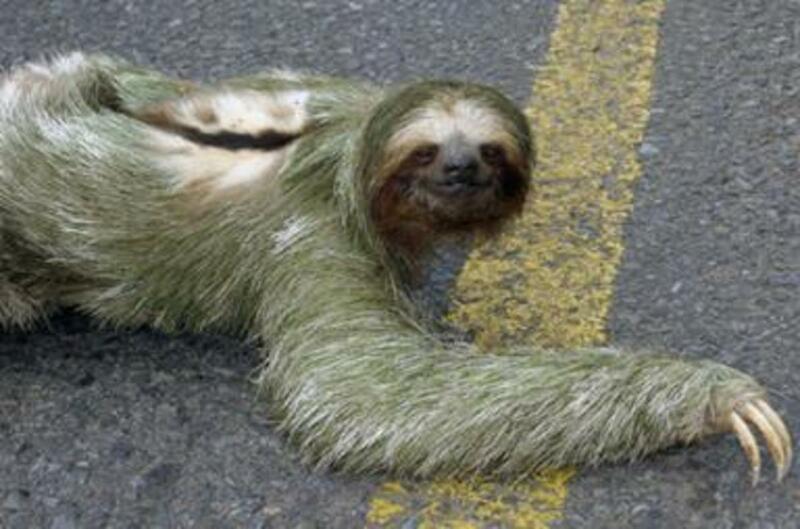 Sloths also have a natural camouflage and move so slowly that it's difficult to spot them. 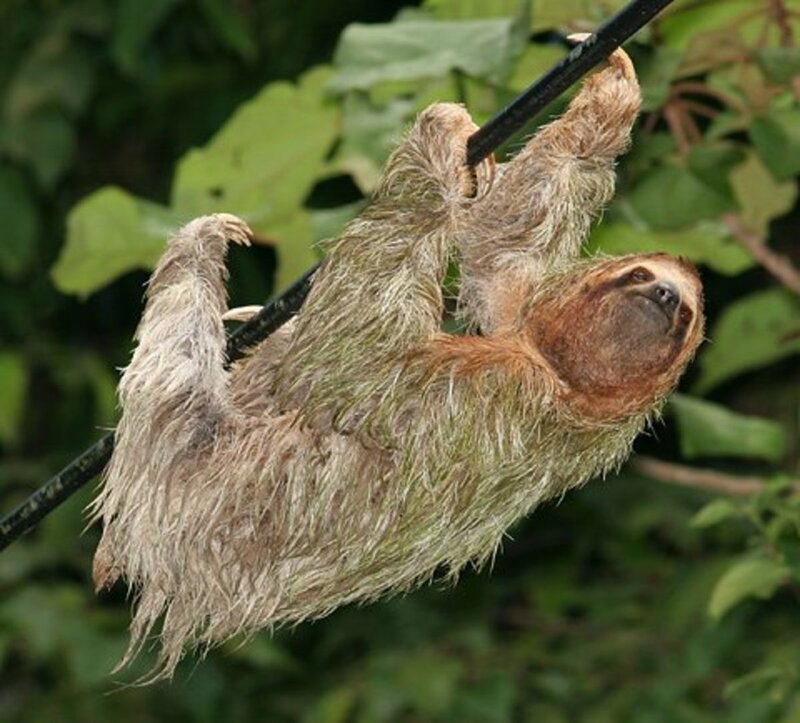 Poachers pose little threat, as they have found that sloths usually do not fall from their tree perch even when shot. In fact, the sloths' main threat is not predators but deforestation. Such a slow-moving mammal is put in harm's way if it has to relocate even a half a mile. Sloths' average ground speed is about six-and-a-half feet per minute! Because sloths spend so much of their lifetimes hanging upside down, their hair grows the opposite direction of that of most mammals. The hair's reversed growth pattern helps protect their skin from the elements. Sloths even give birth hanging from trees. They go to the ground to defecate about once a week, burying their feces afterwards. The only oddity is that they use the same spot every time, which places them at risk. One theory is that they do so to nourish the tree they live in. While today, sloths spend almost their entire lifetimes hanging from trees, in the past, many sloths were aquatic or ground-dwelling. Some ground-dwelling sloths could even grow to be the size of elephants. However, now these species of sloths are extinct. The Daubentonia madagascariensis, commonly known as the aye-aye, is a type of Lemur only found on the island of Madagascar. 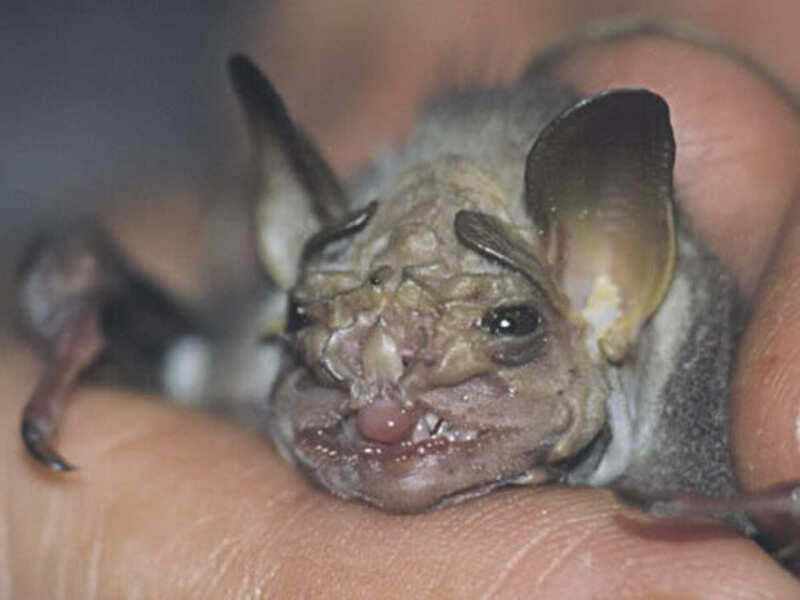 The world's largest nocturnal primate, the aye-aye uses woodpecker-like strategies for food, tapping on the bark of a tree up to eight times per second to listen for insects inside. Then after chewing a hole in the wood, it digs out the grub or insect using its elongated middle finger. The aye-aye will spend 80 percent of its night foraging for food, traveling as far as 2.5 miles a night. 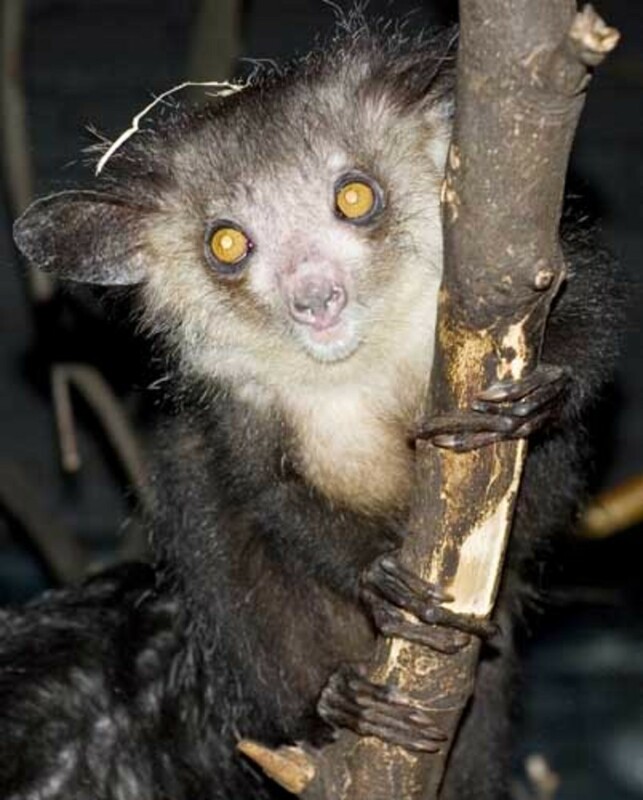 Due to its varied features, there has been an ongoing debate as to the classification of the aye-aye. The continually growing incisors leads some to believe it a rodent, and the aye-aye was originally classified as a mammal. Its re-classification as a primate has been just as widely debated. 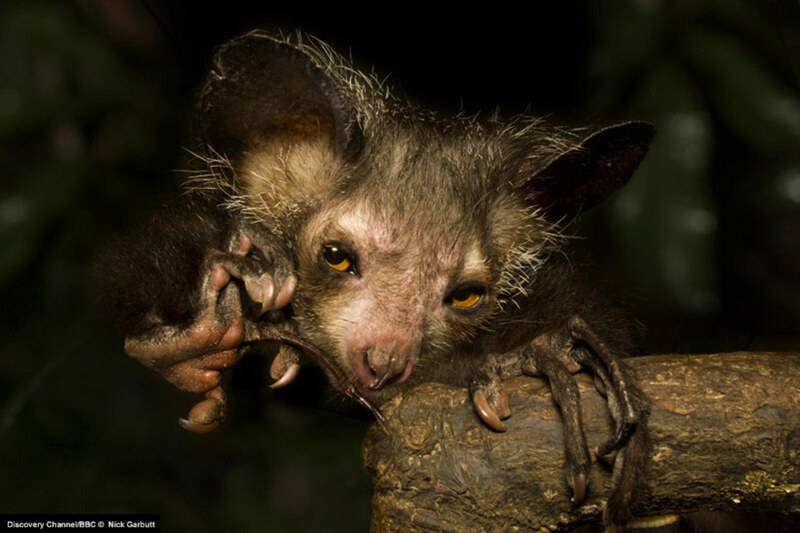 Living primarily on the eastern coast and treeline of Madagascar, the aye-aye tends to live near the canopy of the forest, often as high as 700 meters above ground. Though the males are considered to be social animals, it has been found that a females' territory will never overlap with another's. 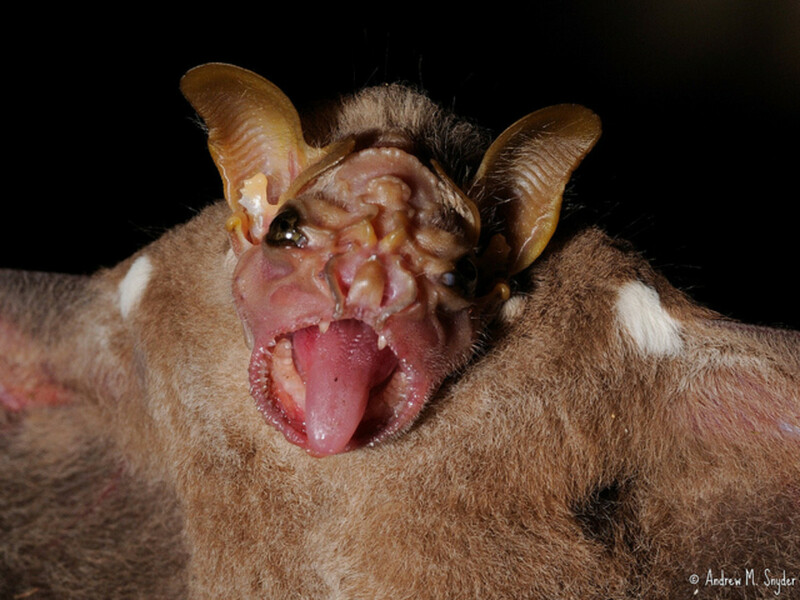 The aye-aye's main threat is humans. Not only do the natives consider them to be nuisances, local legend says that the aye-aye is a symbol of death or harbinger of evil and should be killed on sight. Others believe that should an aye-aye point its narrow middle finger at you, you would be doomed to die. These superstitions are directly resulting in the species' decline. 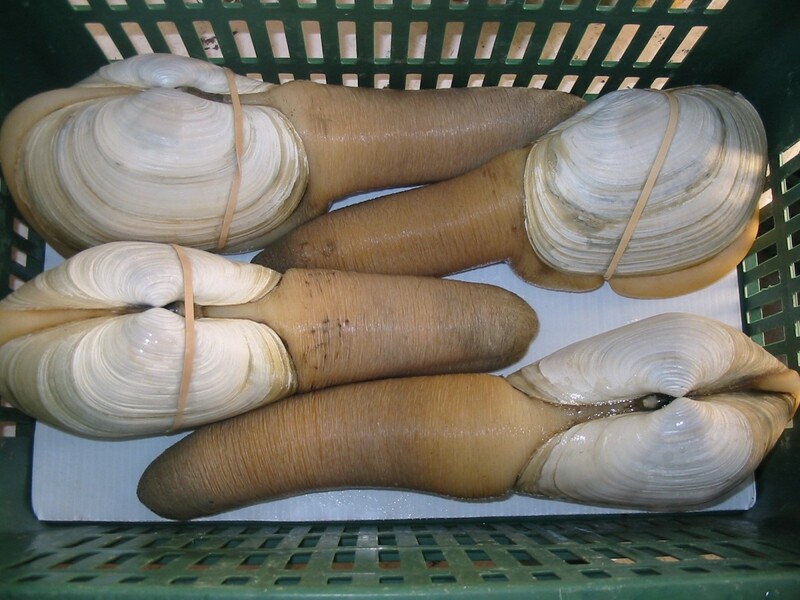 The geoduck (pronounced "gooey duck") is a very, very large species of saltwater clam nNative to the northwest coast of North America and Southwestern Canada. The shells can reach 15 to 20 centimeters in diameter, and the siphon, or neck, can grow as long as three-and-a-half feet. 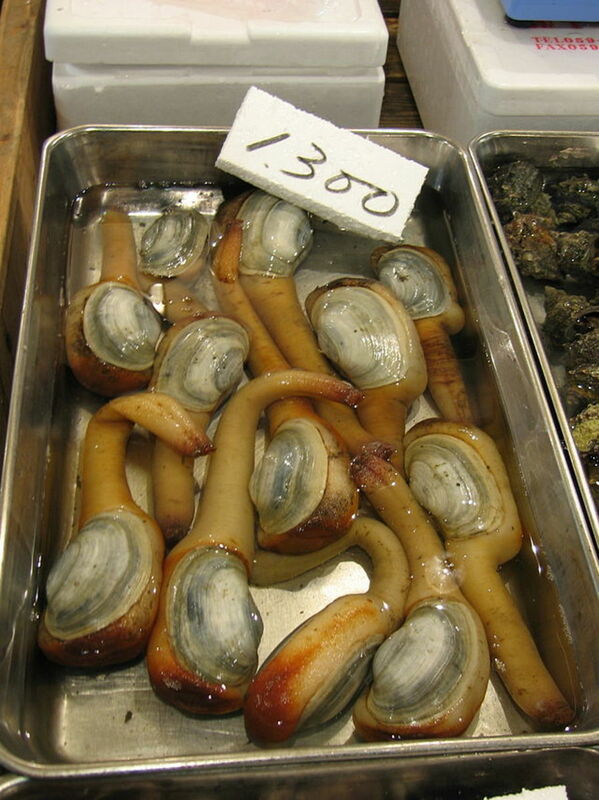 The average specimen weighs between one and three pounds, though people have reported finding geoducks weighing over 15 pounds. They have been commercially harvested since 1989. Most sales go to Asia, where they are considered a delicacy and sell for about $30 a pound. 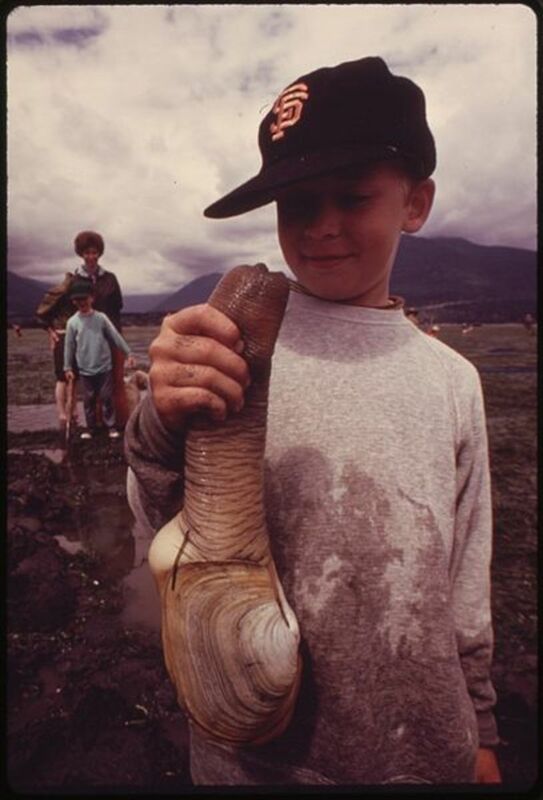 The geoduck trade today is an $80-million-dollar-a-year US industry. They also earn the title of one of the longest-living animals on the planet with a life expectancy of about 145 years (The oldest recorded at 160 years old). The geoduck is the official mascot of The Evergreen State College located in Olympia, Washington. The school's Latin motto, Omina extares means "Let it all hang out." I wonder what they're referring to? Native to Madagascar, the Trachelophorus giraffa gets its name from its jointed extended neck, which is similar to that of a giraffe. The majority of the body is black with distinctive red patterns covering the wings. The extended neck assists with nest-building and fighting. 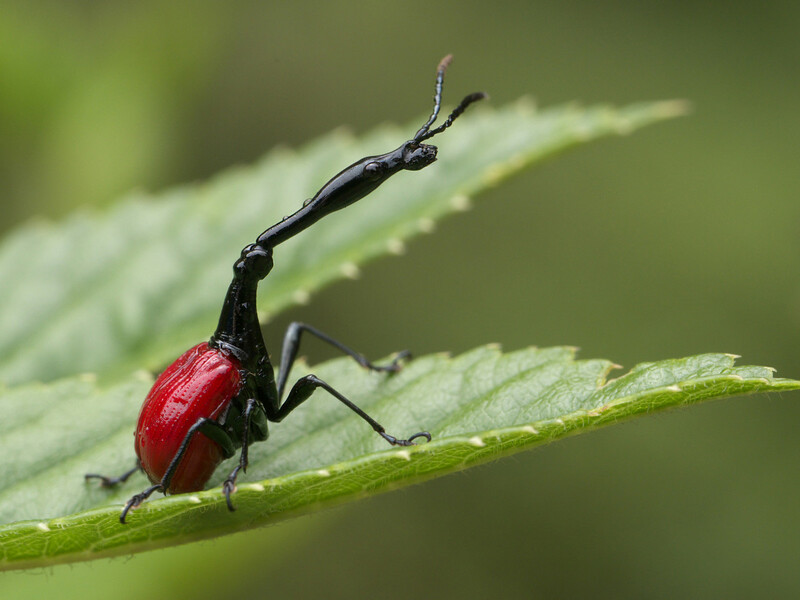 The giraffe weevil is the longest weevil in the world at around 2.5 cm. 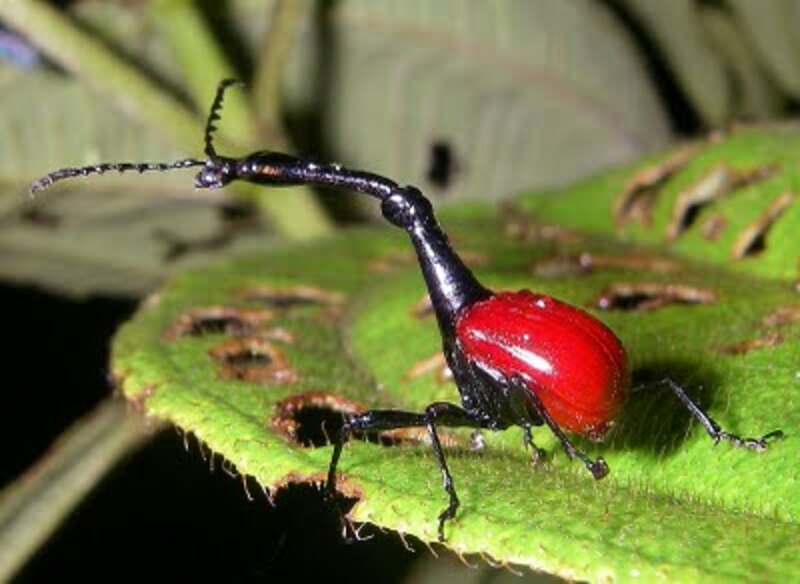 Not much is known about the giraffe weevil, as it was only recently discovered, in 2008. 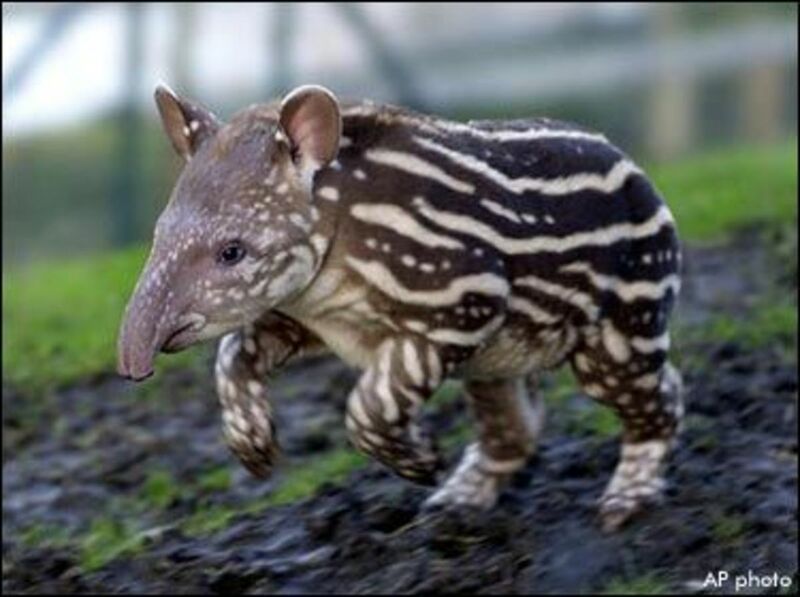 Pronounced "ta-pier," the tapir appears to be a cross between a pig and an anteater. However, this mammal found in the jungles of South and Central America is actually more closely related to horses and rhinos. Adult males can weigh up to 700 lbs. 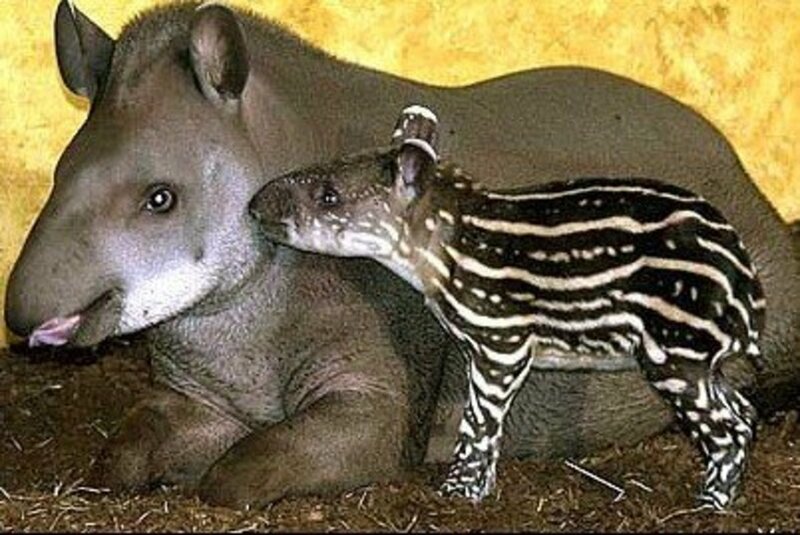 There are four different species of tapir, and, though the different species vary in color and fur, they all have oval white-tipped ears, rounded rumps, stubby tails, and as many as 44 teeth. Their diet consists mainly of fruit, berries, and leaves though they have a tendency to eat soft foliage underwater if they live near a water source. 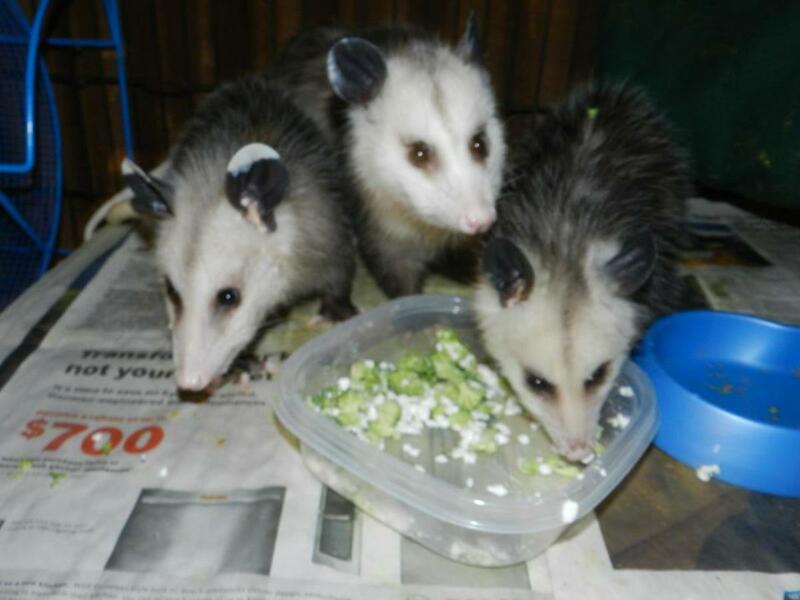 They have been observed consuming upwards of 85 pounds of vegetation in a single day. Their size and remarkable speed keep them free from most predators. 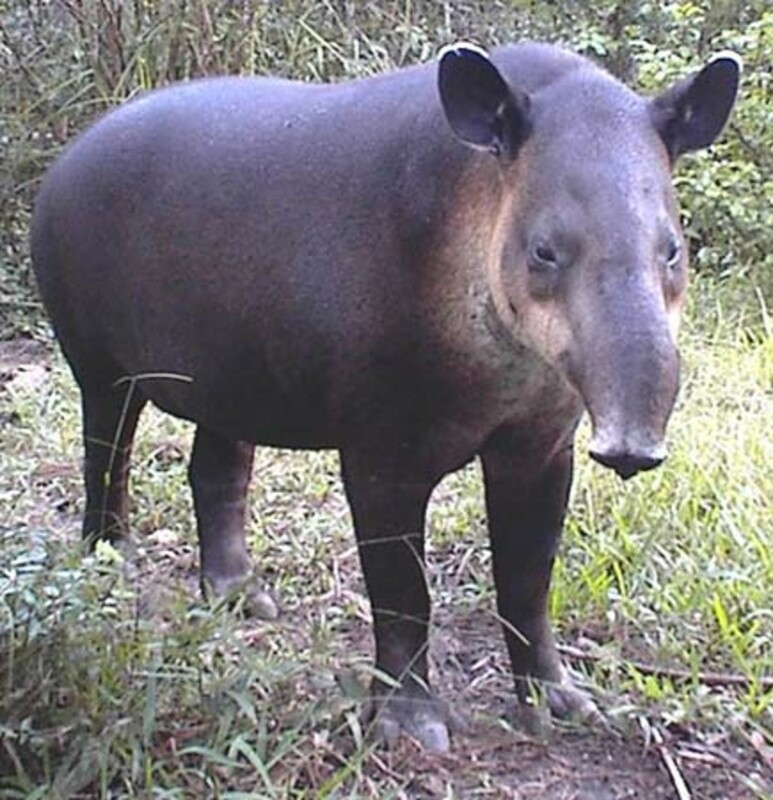 Despite this, and mainly due to loss of habitat, two of the four species of tapir are on the endangered species list. 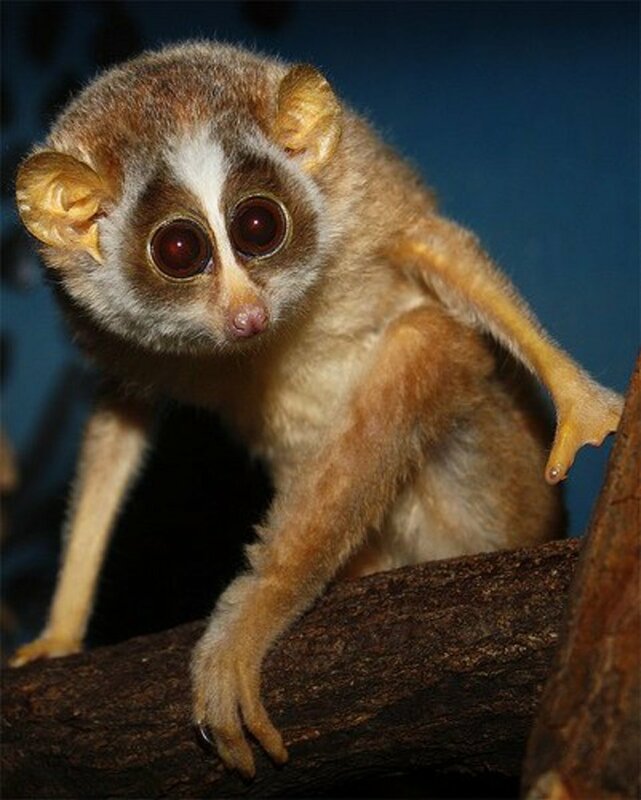 Native to India and Sri Lanka, the slender loris is the sole member of the genus Loris. 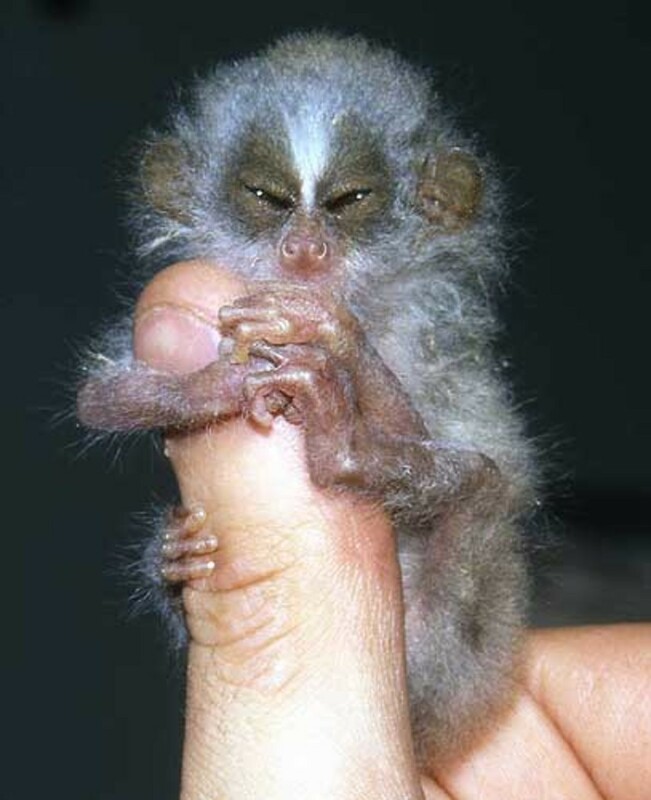 A small nocturnal primate, this species can live in wet and dry forests, as well as lowland and highland areas. 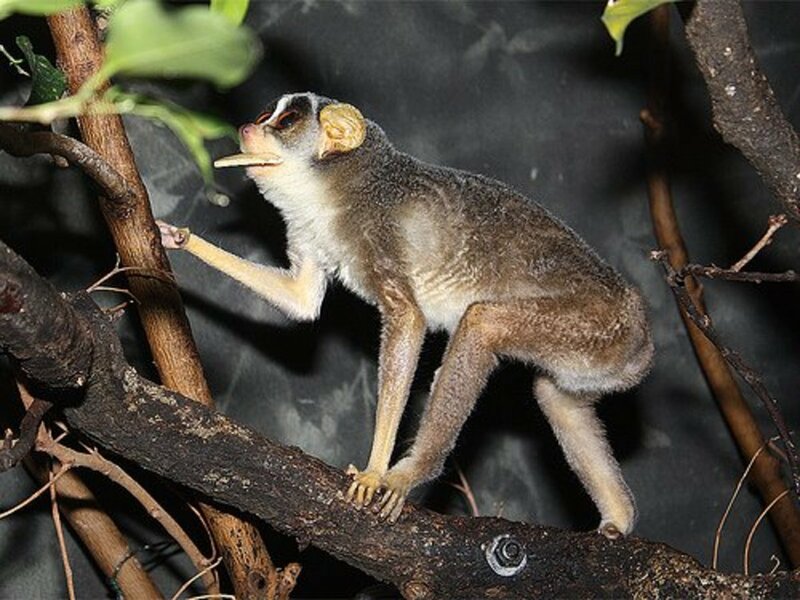 Aptly named, the slender loris is about the size of a chipmunk and has long very thin legs. Their average lifespan is 12 to 15 years, and their movements are slow and meticulous so as not to alert any prey. One of the loris's unusual habits is to rub their urine over their hands face and feet. 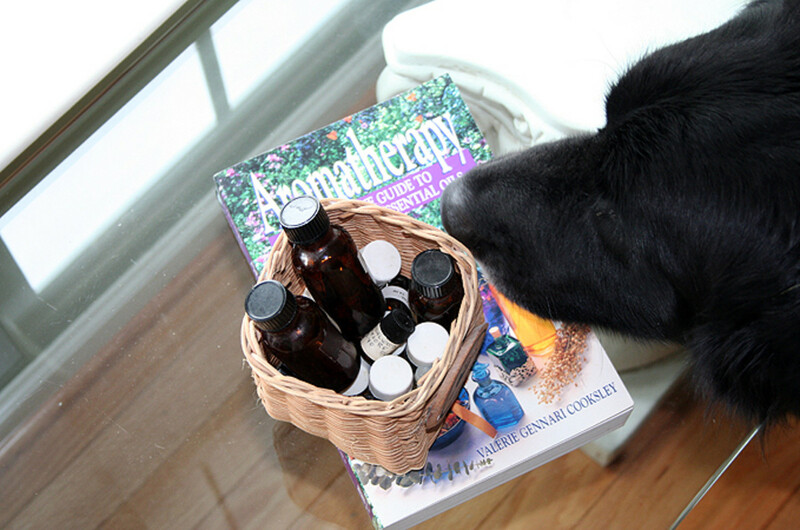 This is thought to be a remedy for their foods of choice—toxic beetles and roaches. Their diet consists mainly of insects and vegetation. Their main threat is humans as natives have always believed all parts of the primate have medicinal or magical powers. It is unknown how many survive in the world today. There are laws in India to protect the loris, but it is hard to gauge their numbers due to their nocturnal habits. 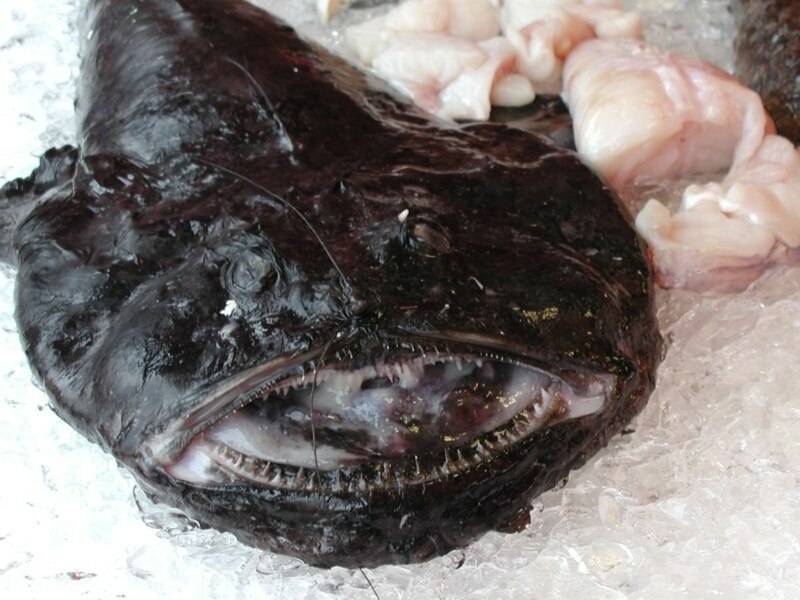 The monkfish, or headfish, is native to the Northeaster Atlantic Ocean and Mediterranean Ocean and is unusual because of its grotesque appearance. 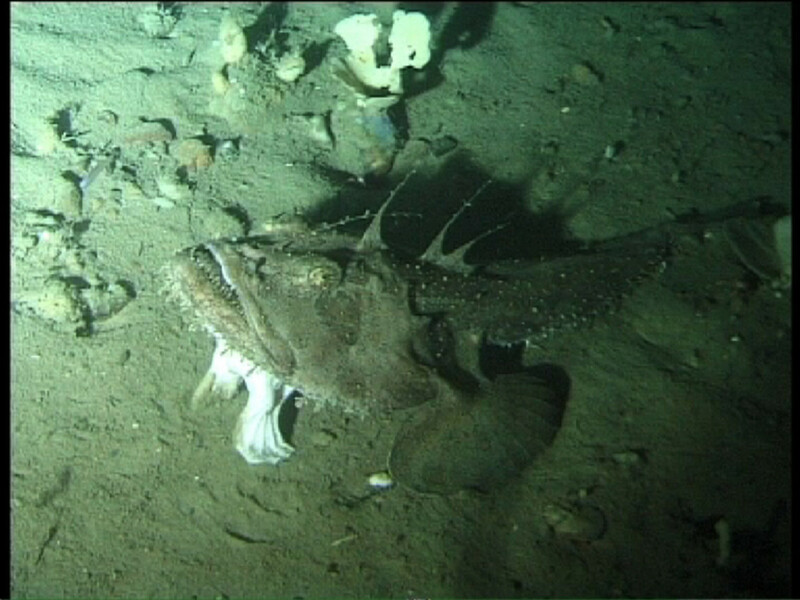 Monkfish can grow upwards of three feet in length, and the largest recorded specimen was 219 lbs. 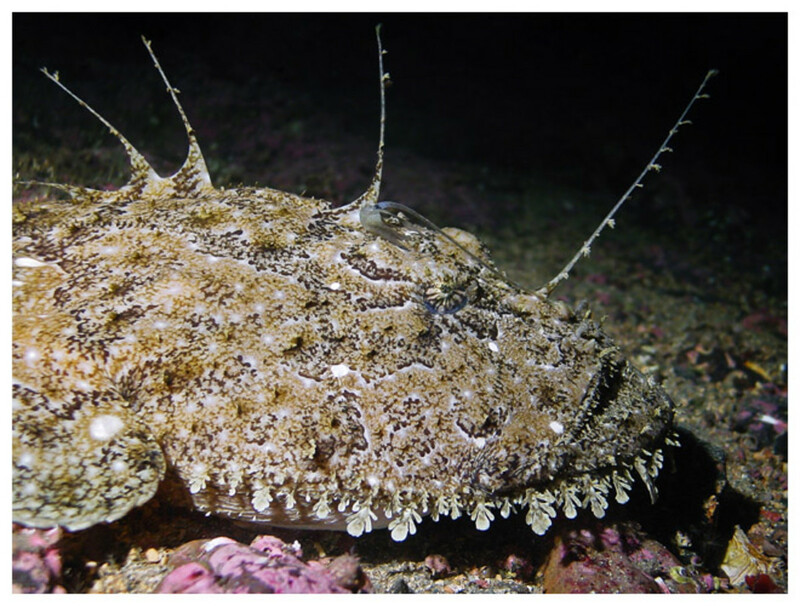 They are in the genus Squatina, the angelshark family. 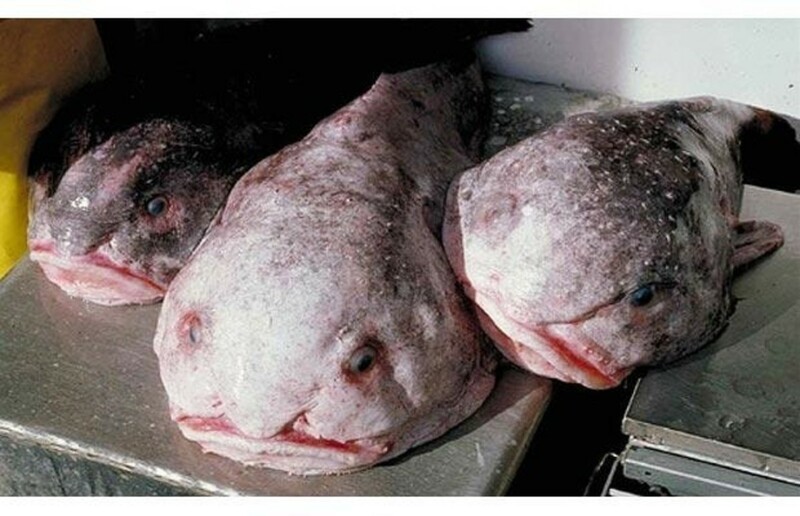 Although they are not widely consumed outside of Spain, the monkfish is endangered. This may be because they are caught as bycatch by trawlers (netted accidentally and later used as bait). 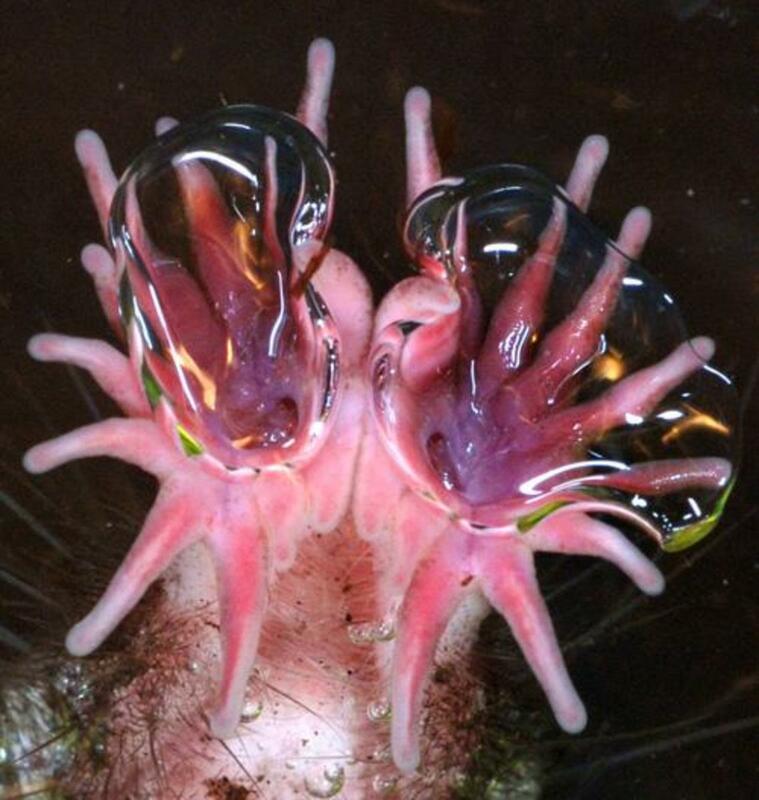 Thriving on the deepest ocean floors, the sea pig behaves much like slugs do on land. They scavenge the ocean floor for any organic material, using their tube feet to move them along and their tentacles to push food into their mouth. 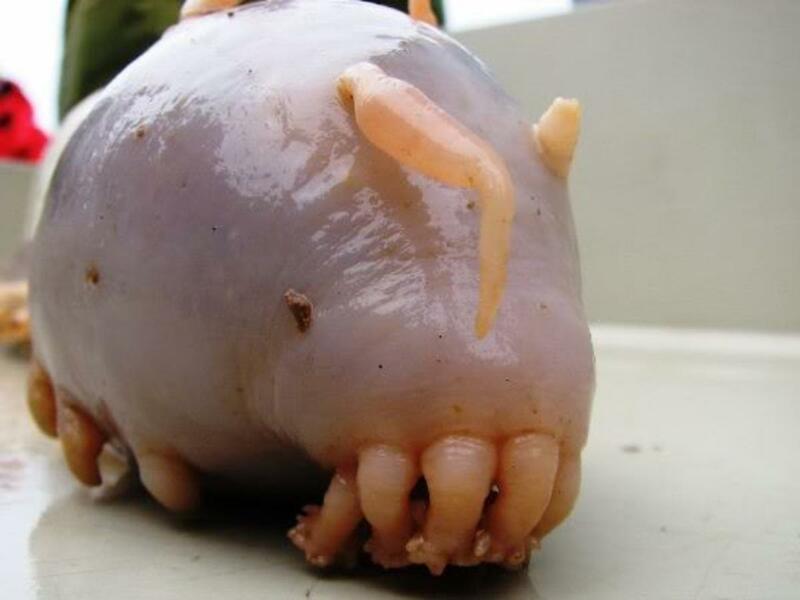 The sea pig is not an endangered species, but it is rare to see one due to the depths of the ocean at which they live. 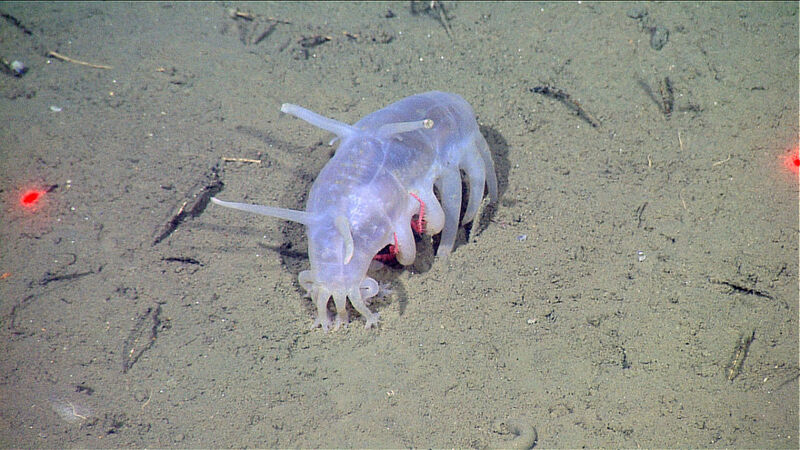 Though they look as though they are a cross between a slug and a pig, sea pigs are Scotoplanes, or a genus of deep-ocean sea cucumbers. 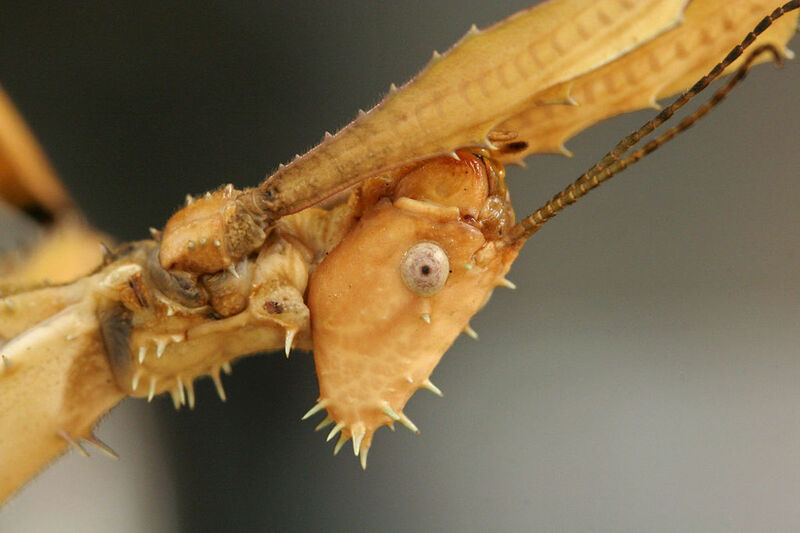 The Phasmatodea (or Phasmida), is known around the world as a walking stick, stick bug, stick insect, or ghost insect. 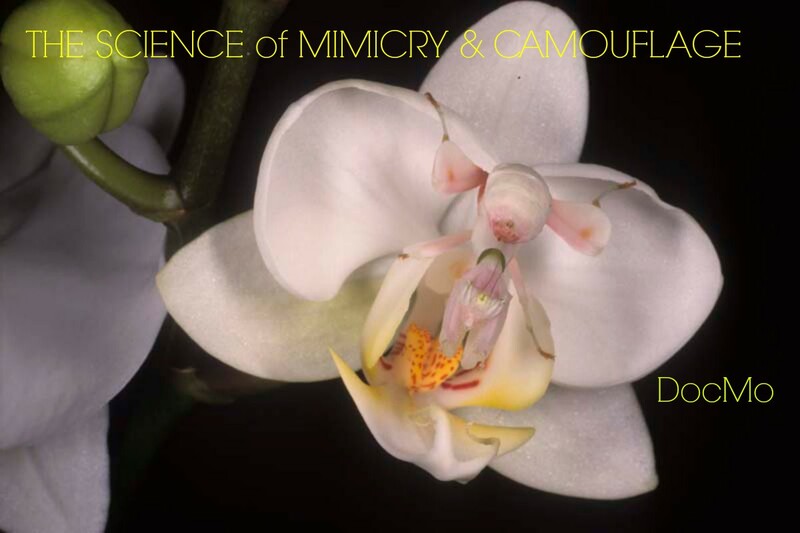 They have evolved to have an exceptionally good natural camouflage that makes them difficult to spot (as you probably noticed from the first picture). 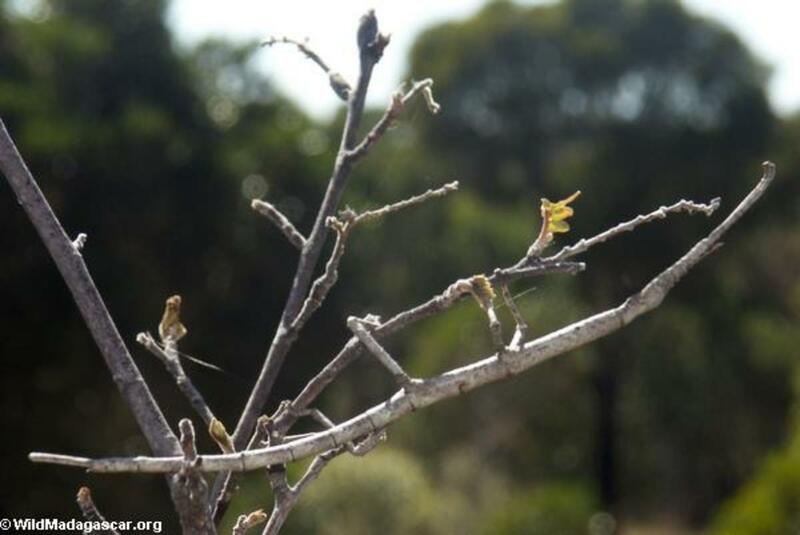 In addition to their physical camouflage, walking sticks also have a tendency to sway, mimicking the movement of branches in the wind. 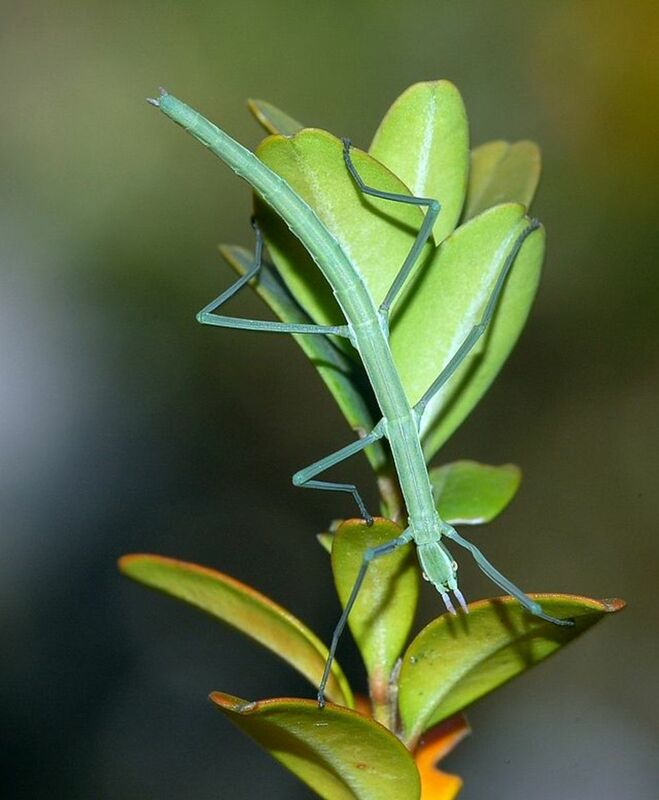 There are over 3000 known species of stick bugs around the world, but the insect is most abundant in tropical areas. 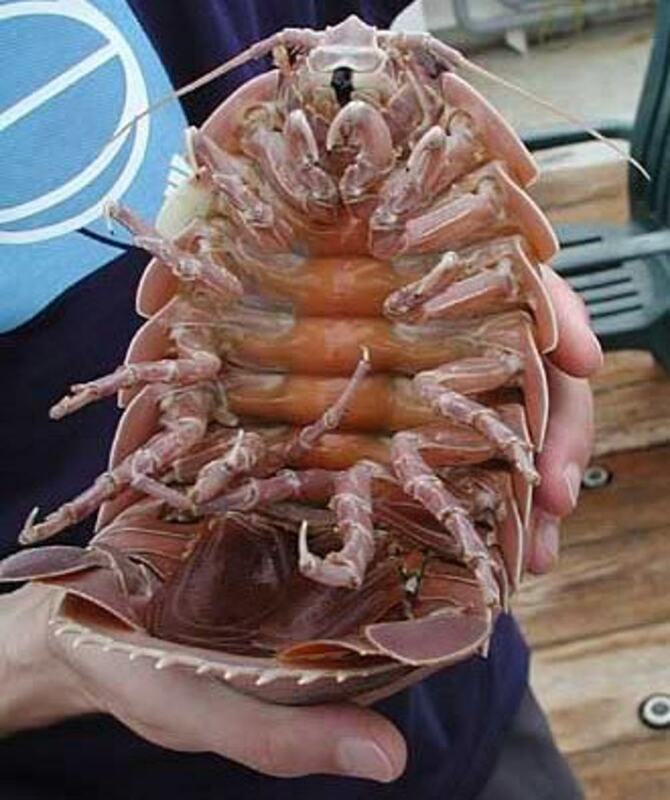 "Isopod" means crustacean, so this behemoth is actually related to shrimp and crabs. 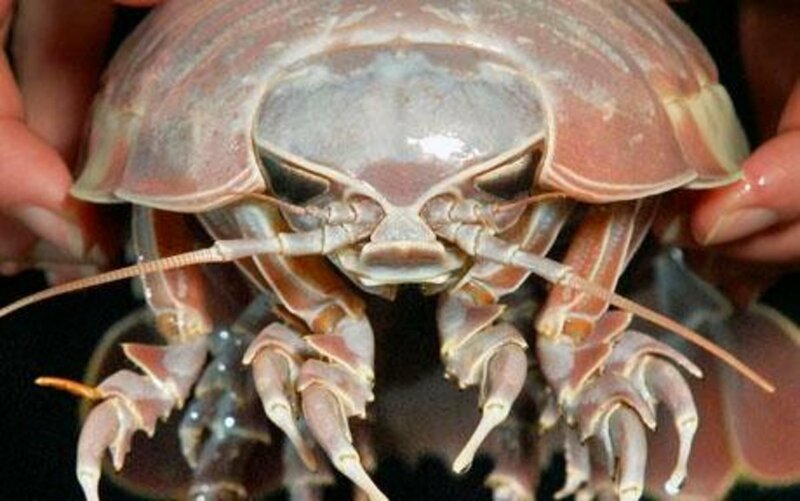 First discovered in 1879 by French zoologist Alphonse Milne-Edwards, giant isopods were the first proof of life at the Azoic (deep ocean) level. They are of little interest to commercial fisheries as their numbers are too scarce to market, and specimens are often "scavenged beyond marketability" before they are recovered. 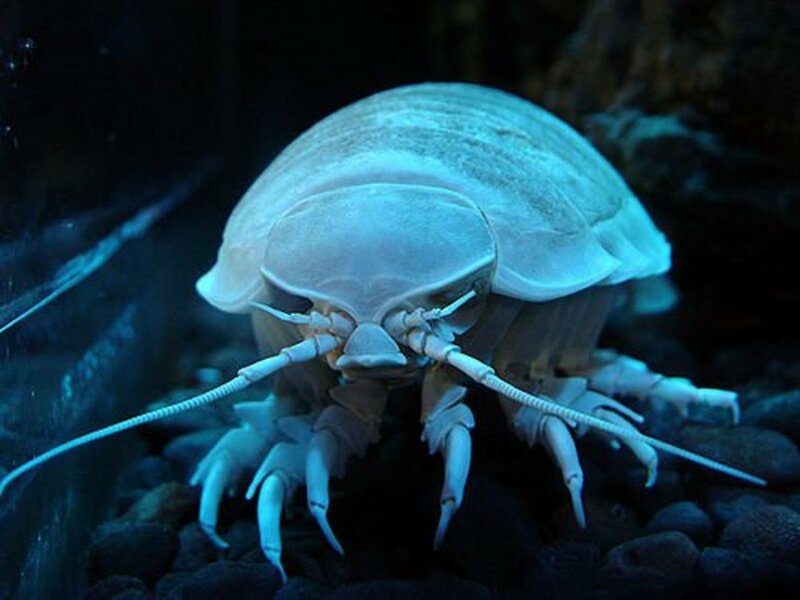 Giant isopods are also related and bear a resemblance to the pill bug or, as we know them around where I grew up, the roly-poly. Mature adults can grow as long as 14 inches and weigh as much as 4 pounds. They are formidable scavengers of the deep sea. They live in areas over five hundred and fifty feet below the surface in pitch darkness; they consume the carcasses of dead whales, fish, and squid. Due to the lack of food at the depth they live in, they have adapted to long periods of famine. They are known to survive up to two months without any food. 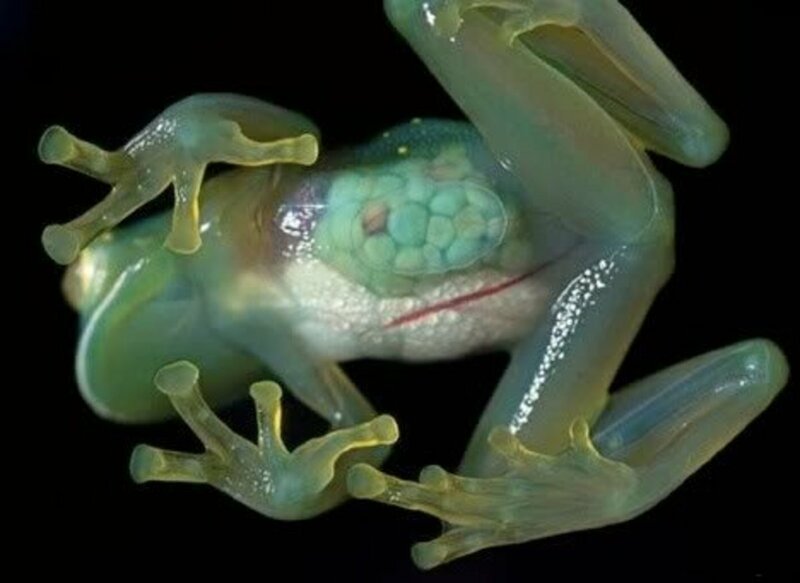 While, like many frogs, glass frogs are green, they get their name from their transparent abdominal sides. Their internal organs and gastrointestianl tract are visible through their skin. 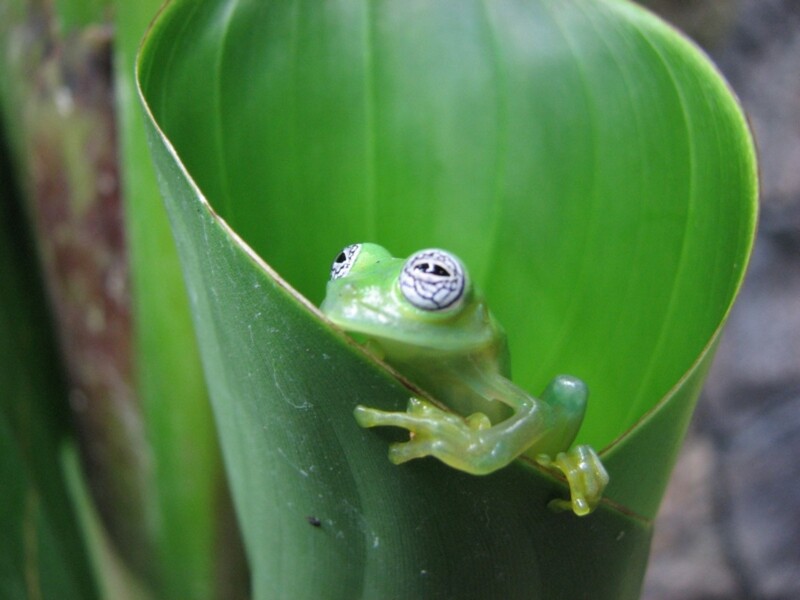 First discovered in 1872, glass frogs were first placed ins the Hyella genus with tree frogs. It wasn't until 1951 that the family Centrolenidae was created. 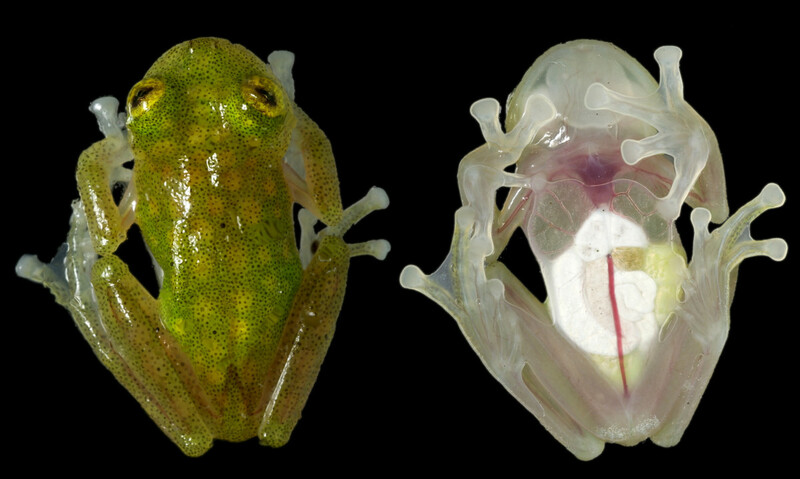 That family is now host to over 50 species of glass frogs. Found primarily along rivers and streams in Central and South America, glass frogs are small, between 1.2 and 3.0 inches in length. 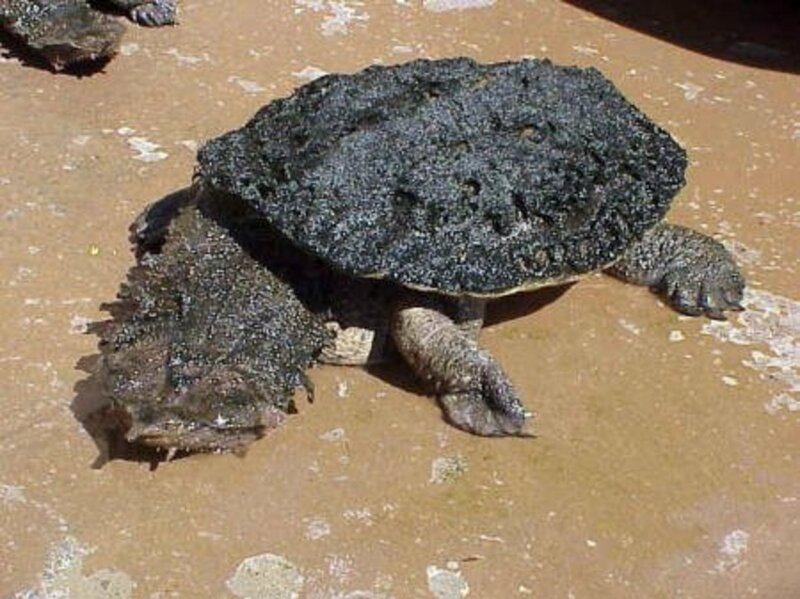 These freshwater turtles (Chelus fimbriatus) found in South America are distinguished by their large flattened head covered by many flaps of skin. They can grow to a length of about 18-20 inches and a weight of around 30 pounds. Each foot has five webbed claws, which it uses, along with its natural camouflage, to catch fish and other food. 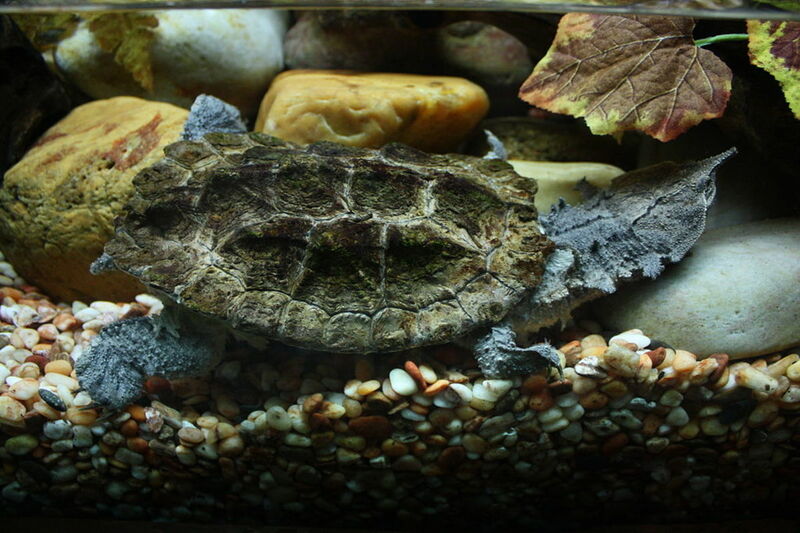 The mata mata resembles a piece of wood of clump of leaves when it lies still in the water. 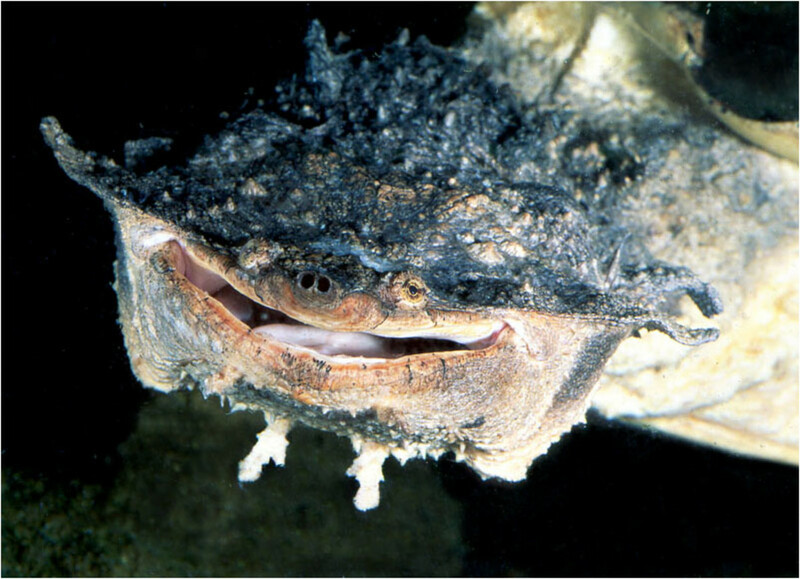 Mata mata turtles are common in the exotic pet trade but are quite expensive. 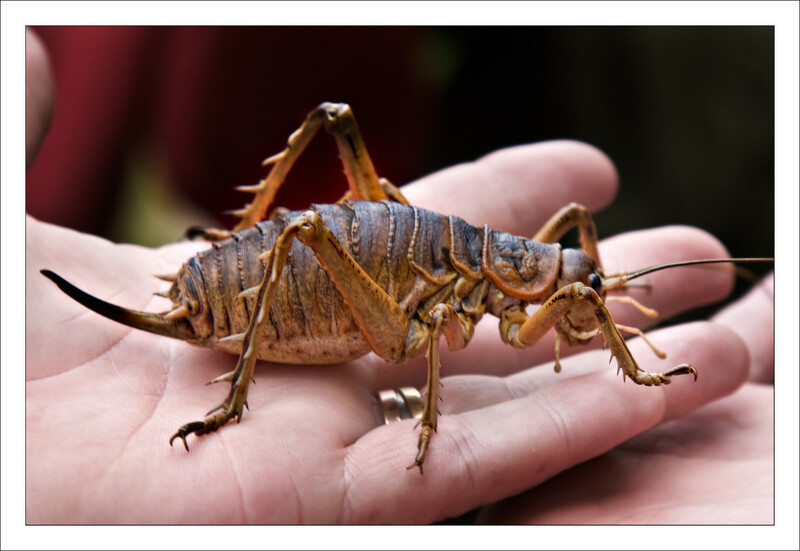 Native to New Zealand, the giant weta can grow over four inches in length. One documented captive female grew to have a mass of 70 g (2.5 oz), making it one of the heaviest insects in the world. 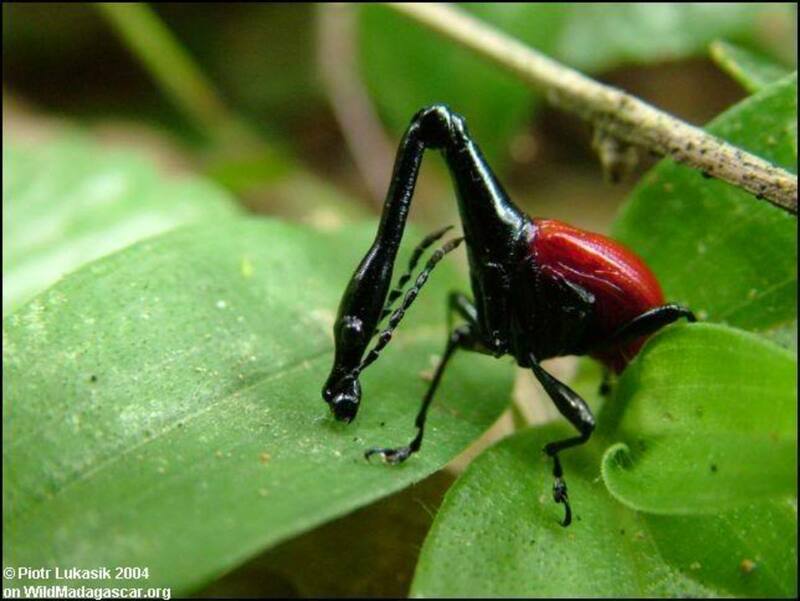 In fact, although they appear like grasshoppers, giant wetas are too heavy to jump. 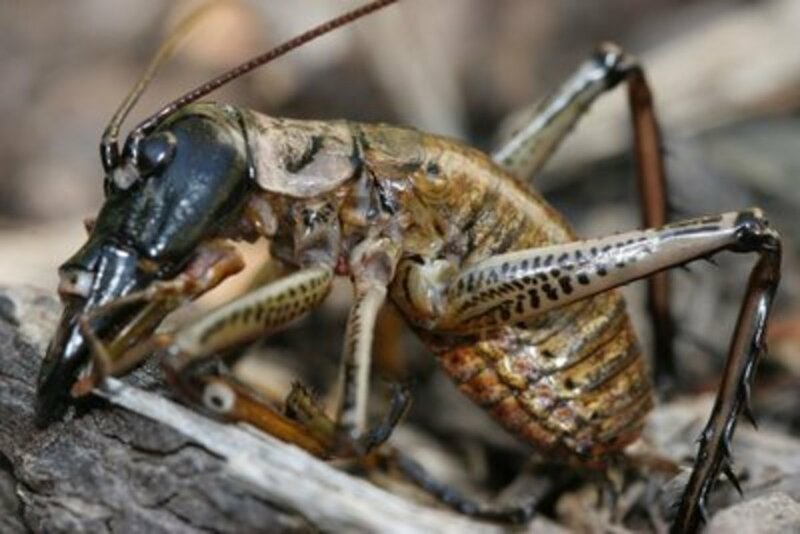 Its genus name, Deinacrida, is Greek for "terrible grasshopper." When threatened, wetas lift their spiky back legs and make an angry chittering sound to scare off predators. 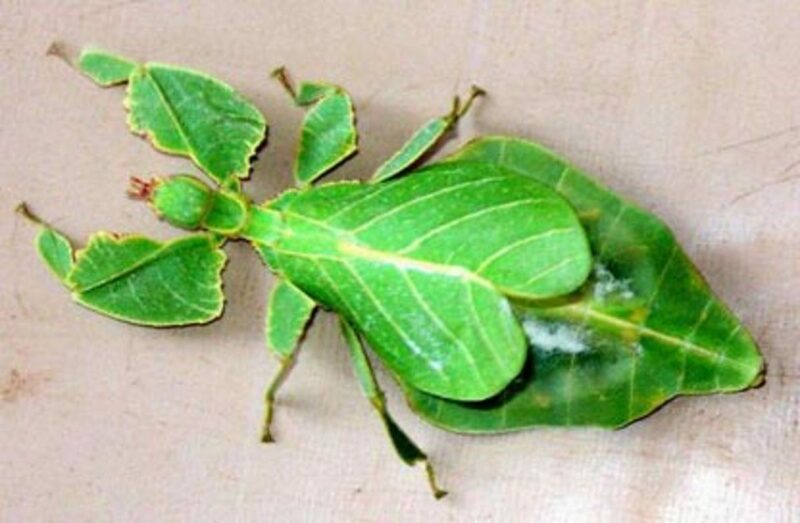 Also from the family Phyliidae, the walking leaf, or leaf insect, is native to South Asia and Australia. Its amazing natural camouflage makes it virtually invisible in wooded areas, which not only protects them from predators but also lets their prey come to them. 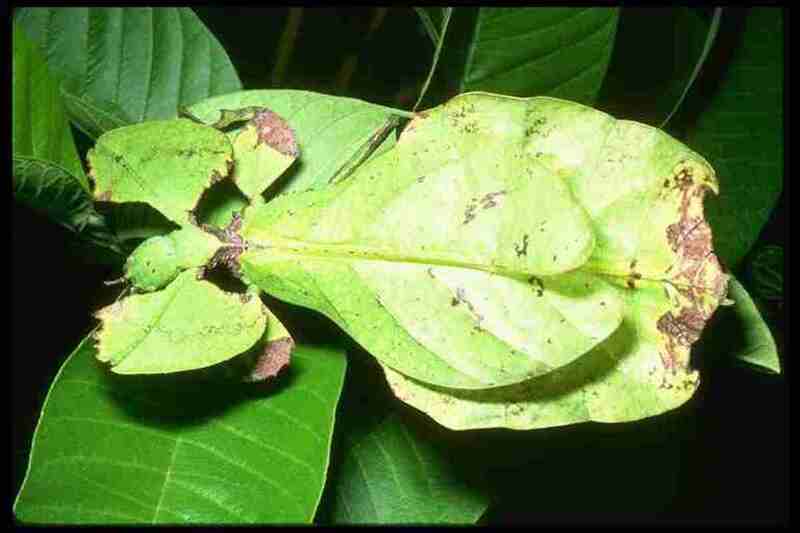 Similarly to mantises and stick bugs, the leaf insect has a tendency to sway back and forth to mimic a real leaf blowing in the wind. Some sources state that these insects may have been in existence 47 million years ago. The Phycodurus Eques (the sole member of the genus Phycodurus) is found along the Western coast of Australia. 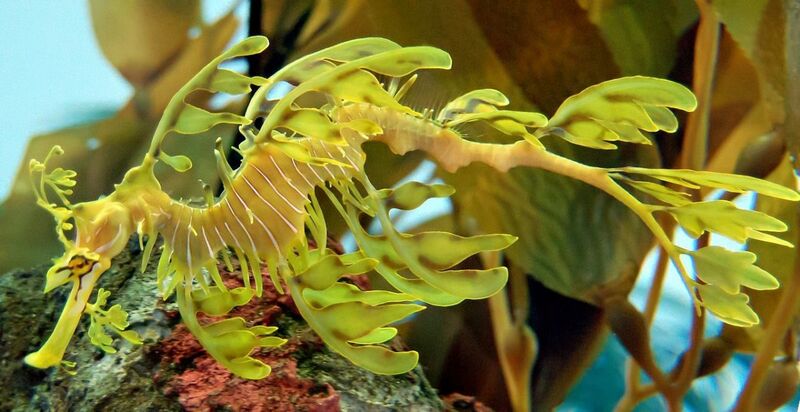 Its common name, leafy seadragon, derives from its leaf-like protrusions, which serve as excellent camouflage. They grow to a length of about 8-10 inches and feed on plankton and small crustaceans. 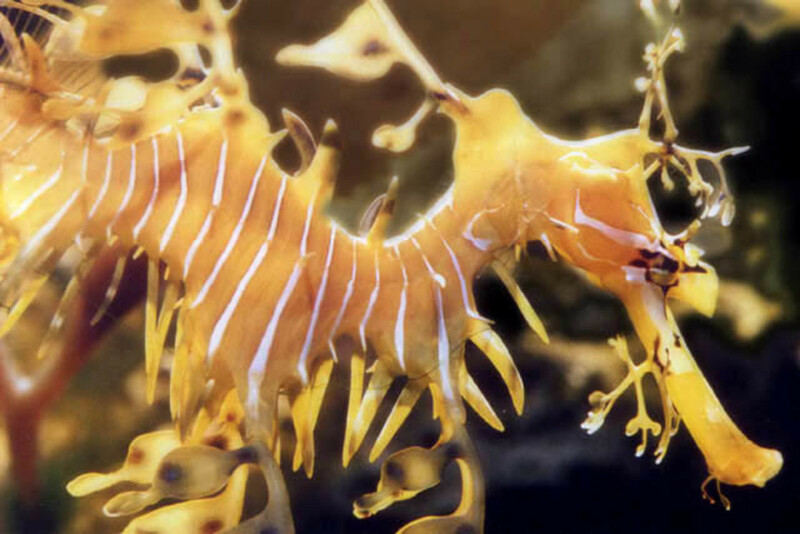 The leafy seadragon has become endangered for many reasons. Humans collect them and use them as pets and in alternative medicines. The seadragons' lack of speed makes them vulnerable to predators. Unlike seahorses, these animals cannot grasp things with their tails, which means that many wash ashore during storms. 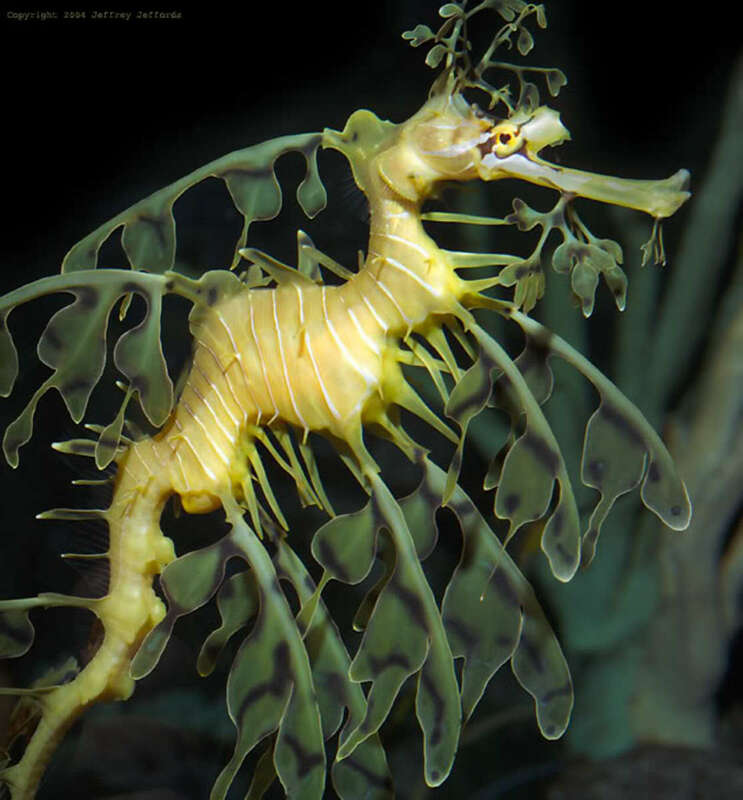 Pollution has also been a threat to seadragon populations. They are officially protected by the Federal Government of Australia. 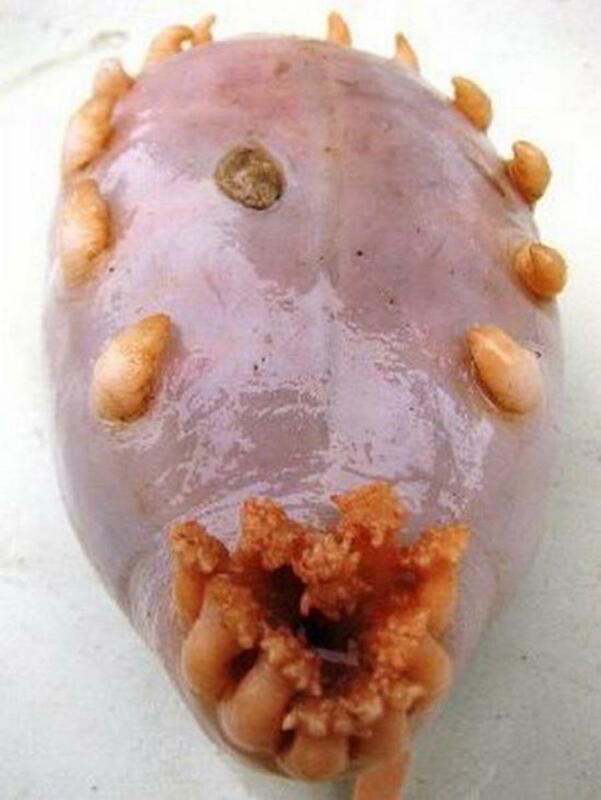 Native to the deep waters of Australia and Tasmania, the rare Psycholutes Marcidusis a gelatinous mass with a density slightly lower than water. This allows the blobfish to swim without expending much energy. 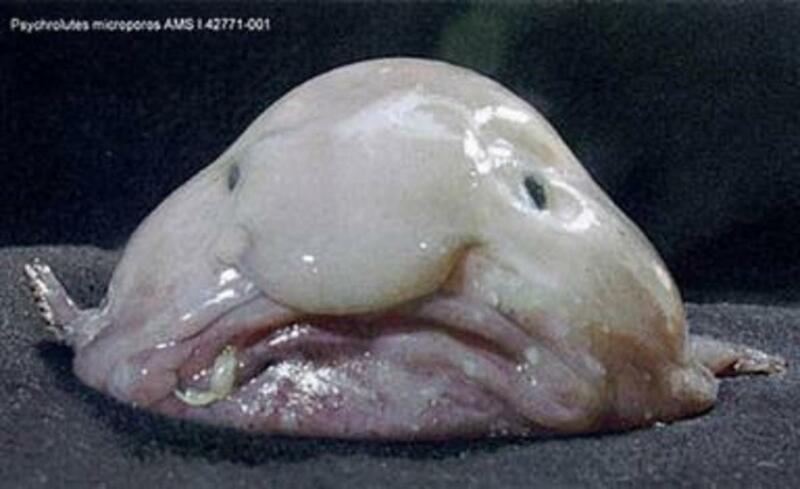 The blobfish will consume any organic matter that passes in front of it. 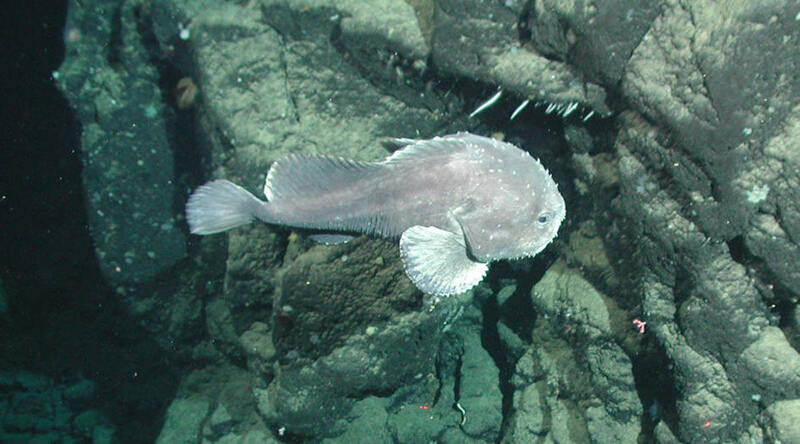 Though the blobfish has few natural predators, it is facing extinction due to deep sea fishing. 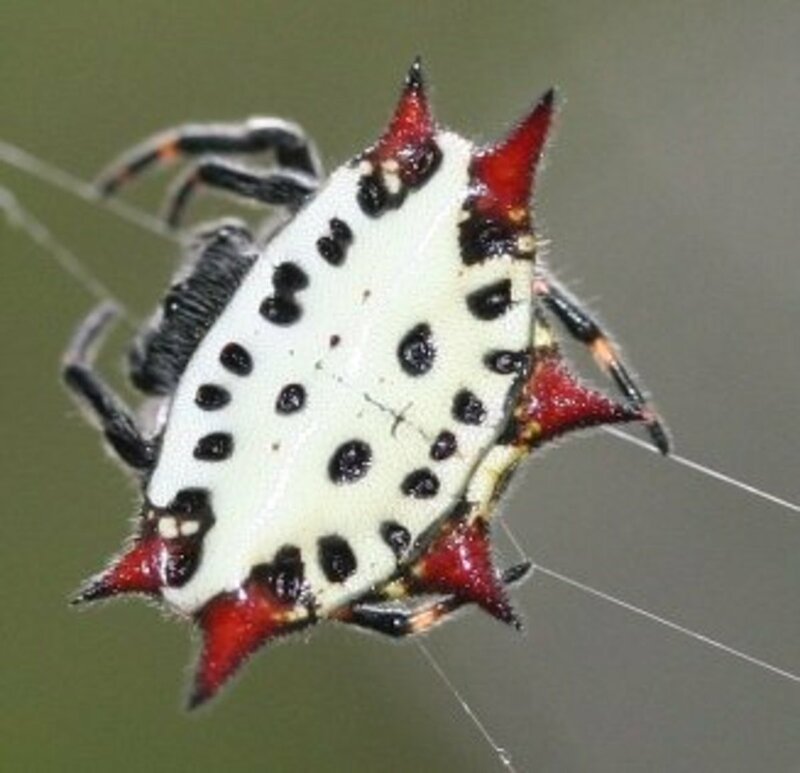 The Gasteracantha cancriformis, or spiney orbweaver spider, is also known in some areas as a crab spider. It has a very distinctive and colorful "shell" with several brightly colored spines protruding. 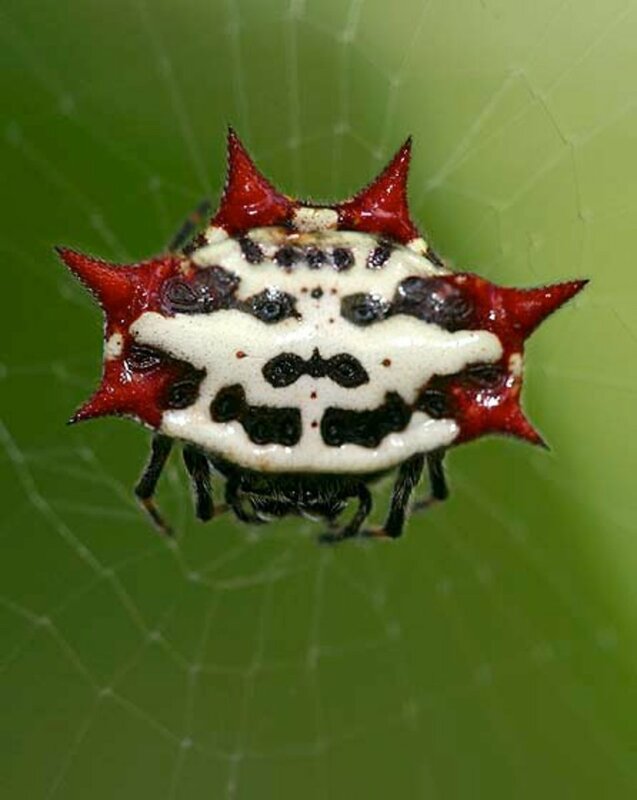 Scientists believe that this physical appearance evolved to protect the spiders from predators, as the shape and colors look dangerous. However, they are not aggressive, and their bites are considered harmless, although they will cause irritation. Spiney orbweaver spiders are small in size. Larger specimens measure only about 10 - 13 mm in length. Common in the waters of Costa Rica, the rosey-lipped batfish, or Ogcocephalus porrectus, is a fish that, oddly enough, is a poor swimmer. 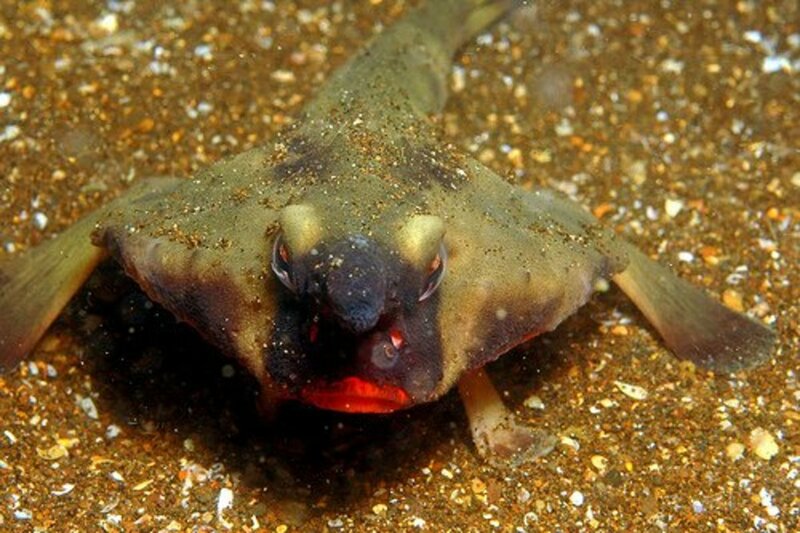 Its strangely-shaped pectoral fins look more like legs than anything—and they act like legs, too! 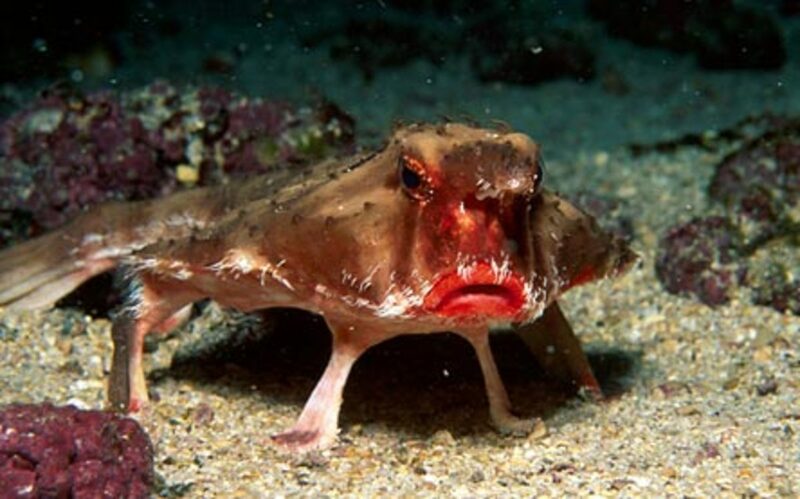 The batfish walks on its fins along the ocean floor, where it feeds on small fish and crustacians. These giant crustaceans have been known to reach up to 15 inches in length though usually they average about 12. Underwater, they appear to have bright and vibrant colors that are used as camouflage in bright coral areas. 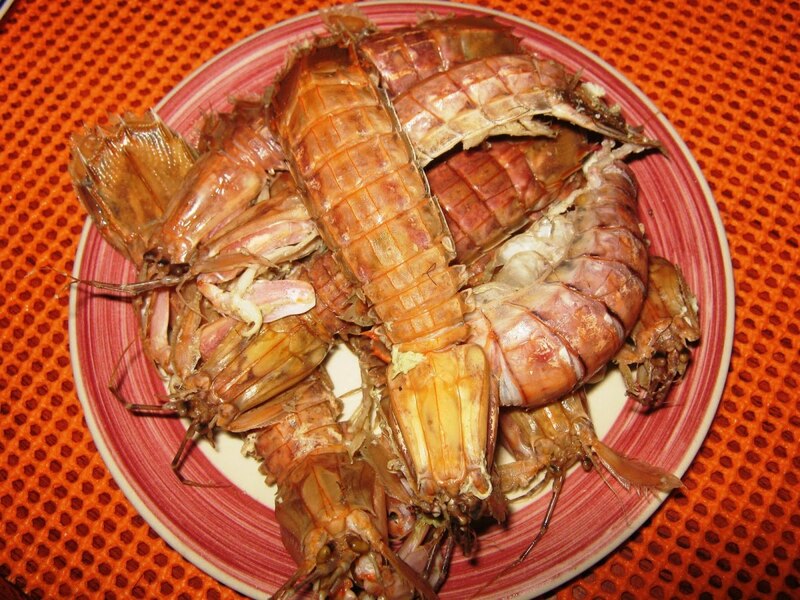 The most remarkable thing about these shrimp, besides their abnormally powerful claws, is their eyes. 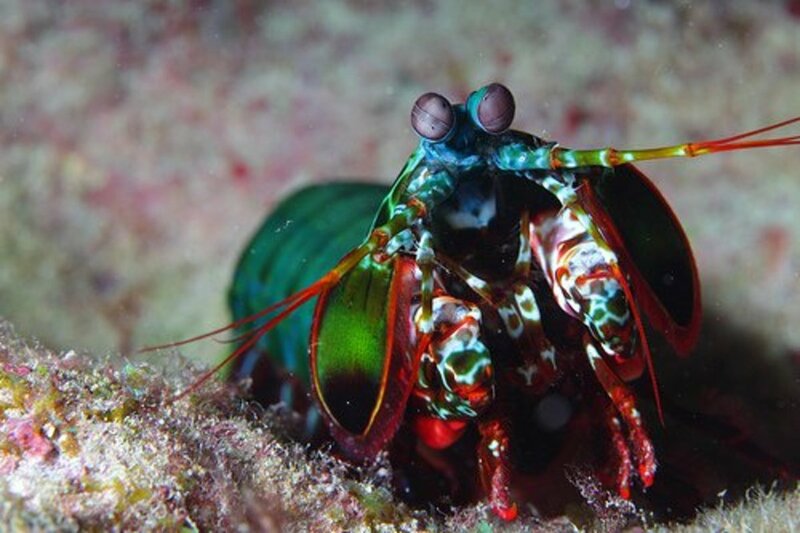 Mantis shrimp arguably have the best eyesight in the world. Each of their eyes has three focal points, while ours only have one. Those eyes can detect which direction light waves are oscillating and see four times as many colors as a human being, including colors in the ultraviolet and infrared spectrum. Their genus name, Gonodactylus, means "mouth-feet," and their species name, smithii, means "genital-fingers." Also impressive is the way mantis shrimp catch their food. The mantises shown in the pictures above pack a punch with the force of a 22-caliber bullet—a punch so powerful that it generates both light and heat underwater. The Condylura cristata, or star-nosed mole, is found all along the eastern seaboard of the United States and across the Northeast United States from Wisconsin to New Hampshire. It is also found along southeastern areas of Canada. It is the sole member of the genus Condylura. 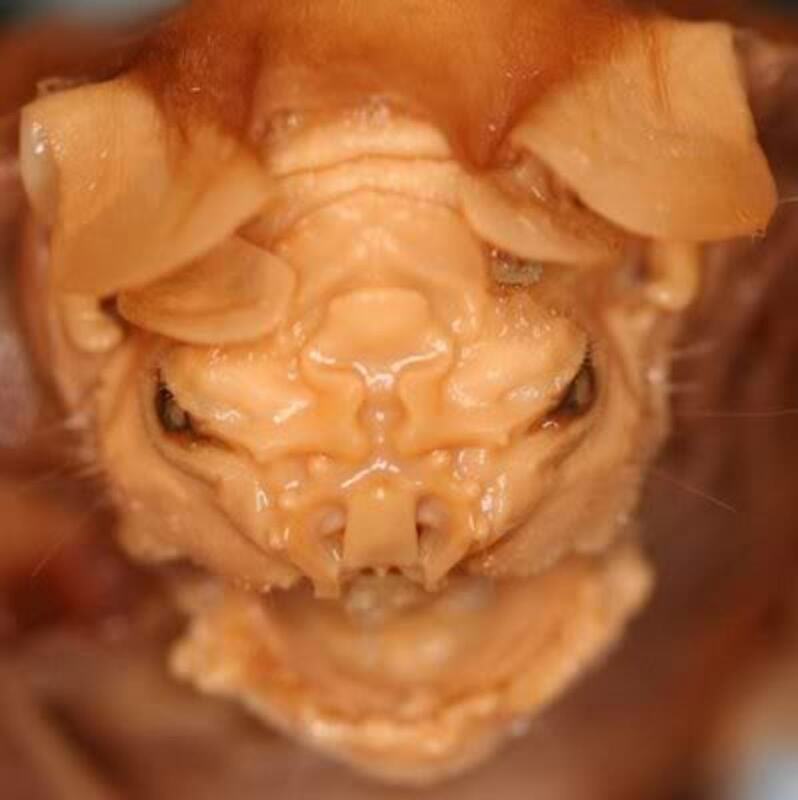 These unique creatures are unmistakable due to the 11 pairs of pink fleshy appendages sprouting from their snouts. These appendages are used for their sense of touch and contain more than 25,000 sensory receptors. 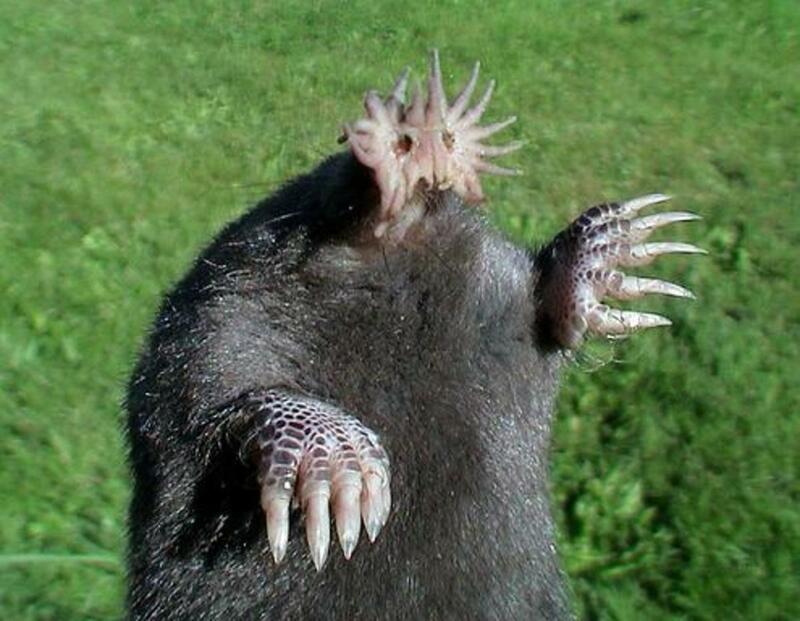 The star-nosed mole is functionally blind and is smaller than an average mole (only about the size of a hamster). 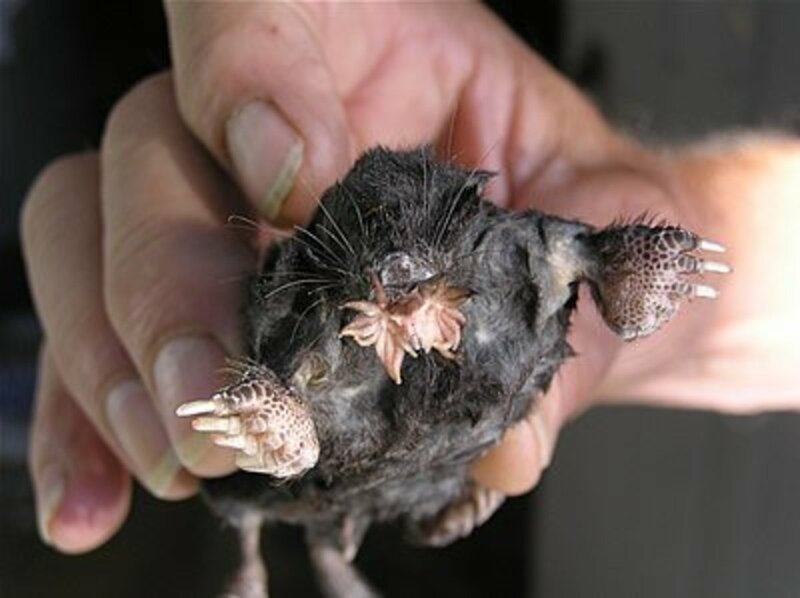 According to Nature, the star-nosed mole is the fastest-eating mammal, taking as little as 120 milliseconds to identify and consume food items, deciding in only eight milliseconds whether or not something is edible. These moles also possess the rare ability to smell underwater by exhaling air bubbles onto objects and then inhaling them back in. 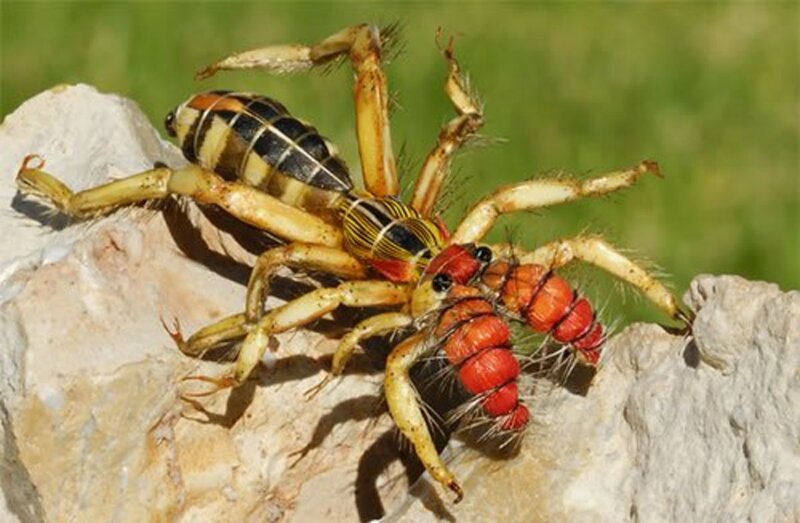 Also known as wind scorpions or sun spiders, camel spiders live in deserts and feed mostly on numerous types of small animals, although they are omnivores.There are over 1,000 known species of camel spiders. Larger species have been known to feed on small snakes, lizards, and rodents. They can grow up to five or six inches in length (including the legs). 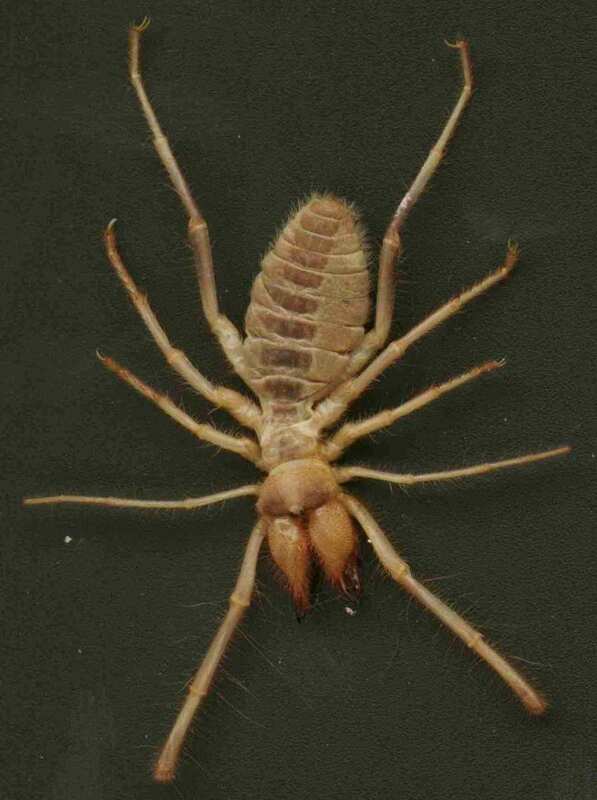 Though their frightening appearance has lent the camel spider to many urban legends, they are not a threat to humans. How many animals did you correctly identify before reading the text? Animal Attack! The Ten Scariest Animals on Earth! Some were cool, some were scary, sloths are not rare lol. I like this information but i want to know about these all activities and behavior. What an incredible article. And some of the creatures I've never seen before. You did a fabulous job with your photos and how comprehensive you made this article. I doubt few will visit this page and not learn something new or see something they've never seen before. Three thumbs up. I thoroughly enjoyed this article and can't wait to read the rest! You're a guy after my own heart! I'm pretty much jealous of that damn mantis shrimp though. Well, I couldn't name them all, but for those that I could not name, it wasn't because I'd never seen them. It was that I just couldn't recall their names. The neat thing about several of them is that I was a single mom, and my only child was a boy, so I learned to appreciate many of them with him. i think i seen one i am not shore but they are super adorable. 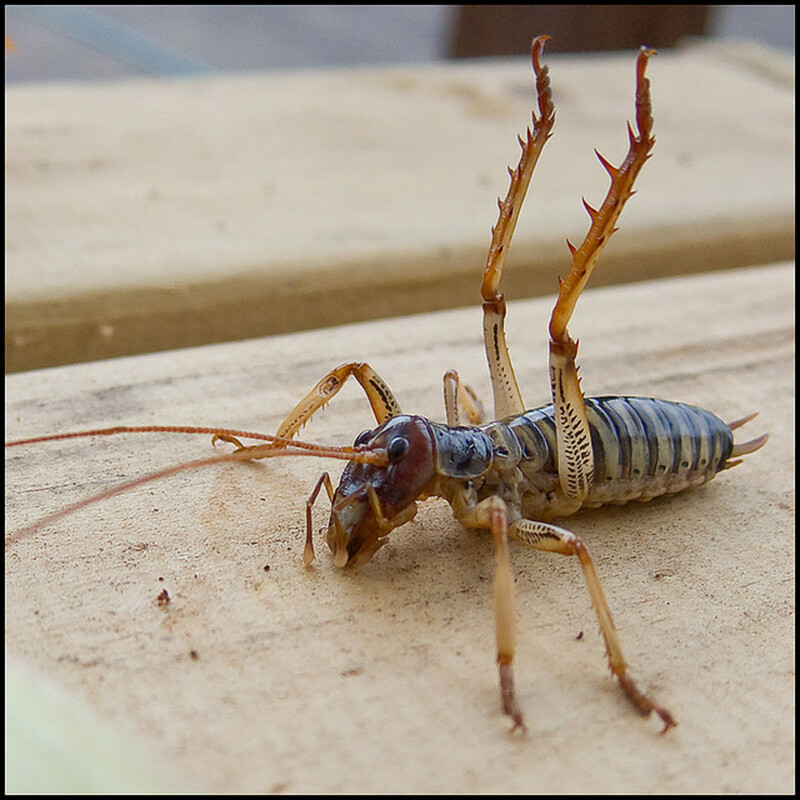 Went to bed one night around 4 am during July just to look to my left and see a 6 inch Camel Spider running torwards my face. Got up quicker than the flash and it followed me. Little did i know at the time it was just trying to stay in my shadow. They aren't fans of light. I didnt kill it though. I vacuumed it and threw it out side down the street. We did a Vacation Bible School last year that was on weird animals. Star nosed mole, leafy sea dragon were included. Had missionary friends in Paupa New Guinea that found a baby red panda and took care of it until they could let it go. Very fun hub. Stunning hub, I never even heard of a geo duck or a red panda ! Sharing this on twitter ! I love the animals . Now that was just the coolest hub ever. I so enjoyed that and brought others running to see what the heck was going on as I owwwwd ,awwwwd and gasped. God really ads a great supernatural flare to his creations. Crazy freaky animals. I've never seen any of these. Excellent hub. Vote dc up! What an interesting hub. I'm glad you gave a warning at the beginning of it, some of these creatures are really freaky! Thanks for sharing, voted up and interesting. Wonderful! This is a hub I will come back to, to read again. Fascinating creatures you picked and I enjoyed reading the information you provided. I would love to travel the world and see some of these in the flesh. Though some of them probably from a great distance! I loved seeing the walking stick on your list. When I was a kid living in New Zealand we used to go for nature walks at school. They're hard to see, but that's where I first saw them. Incredible info and images! The thing I find interesting is how a reader's geographic location influences how they react to these creatures, such as I, as an Australian, am fairly familiar with most of the 'critters' mentioned from the Australasian region, whereas some of the American, European & African creatures seemed absolutely unbelievable to me! Incredible and very interesting list! It looks like you spent an enormous amount of time on this article. It was well written, and I enjoyed the pictures. Thanks so much for sharing it with everyone. Amazing animals and rare species of the world. I love red pandas and sloths, sea pigs are hideous! ahhh. 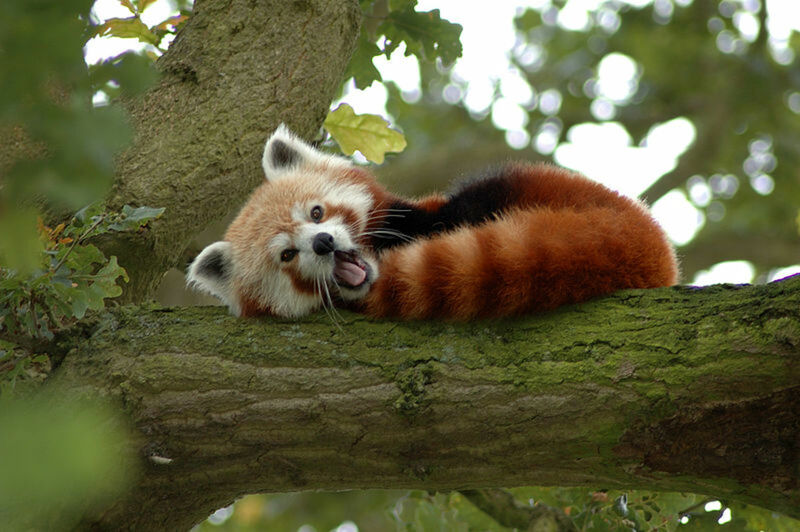 red panda is the best and it is soooo cute! What a great hub! I've held a Red Panda - one of my most treasured memories. They have the softest fur and the warmest paw pads. Soooo cute. The Sea Pig is truly revolting. I will be showing this to my kids…anything gross is always highly appreciated! I love sloths! That Coconut Crab is scary though! As an animal lover I found this hub quite awesome and entertaining mcrawford. I grew found of the Sloth because of my daughters love for the Ice Age movies. Some of these animals I had never even seen before. Thumbs up on your hub. What a fascinating hub! God's wonderful creation could be amazing and some really creepy! Really these animals are amazing!!! I am impressed!!! Oh My God! Such lovable creatures. Haha You amazed me totally. I was just stuck over the pictures. Mind-blowing hub. Great Great Great Post really. Very interesting and informative hub. All of the above, once again do endorses nature's infinity as far as living creatures are concerned. Thanks. I've been considering expanding the list, if I do, the mudskipper will definitely make the list. I had never heard of that one before. Thank you! 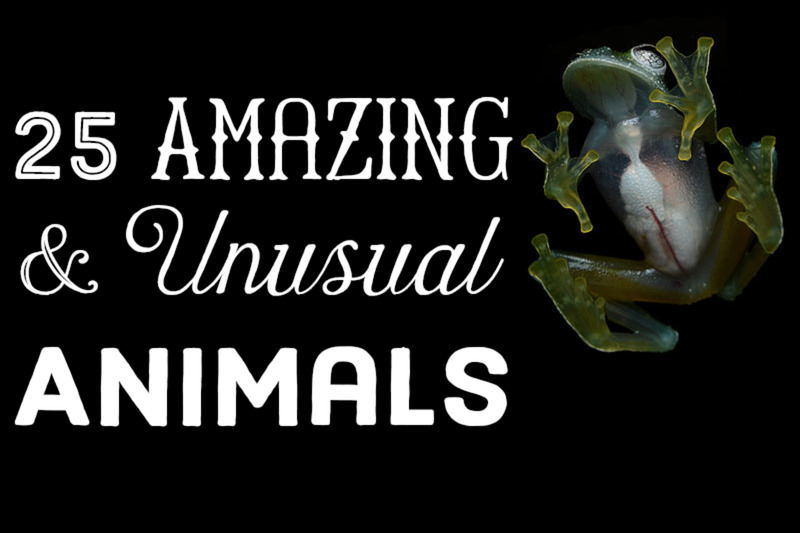 these were some unusual and cool animals to learn about indeed. my favorite were the stick bug, the leaf bug insect, and the loris. thanks for the extensive and great information. voted up shared and pinned. A very fascinating article! Voted up and awesome! So many creatures that I've seen for the first time here. Keep it up! OMG !!! 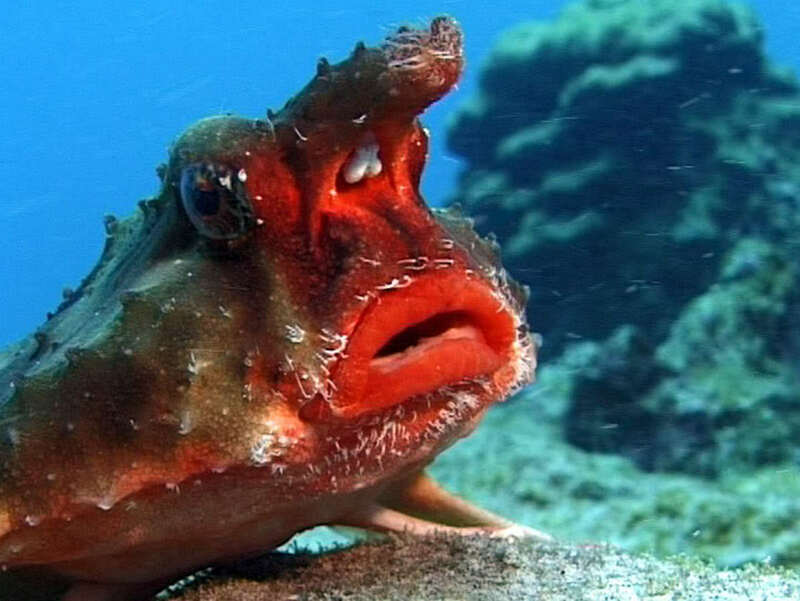 These are certainly some AMAZING and UNIQUE animals. I have never seen such creatures or even aware of their existence. Thanks for posting this hub. So amazing never thought all these creature exist in our world! Great pic thanks for sharing. Brilliant article! Very informative and interesting and I really enjoyed reading the entire thing! 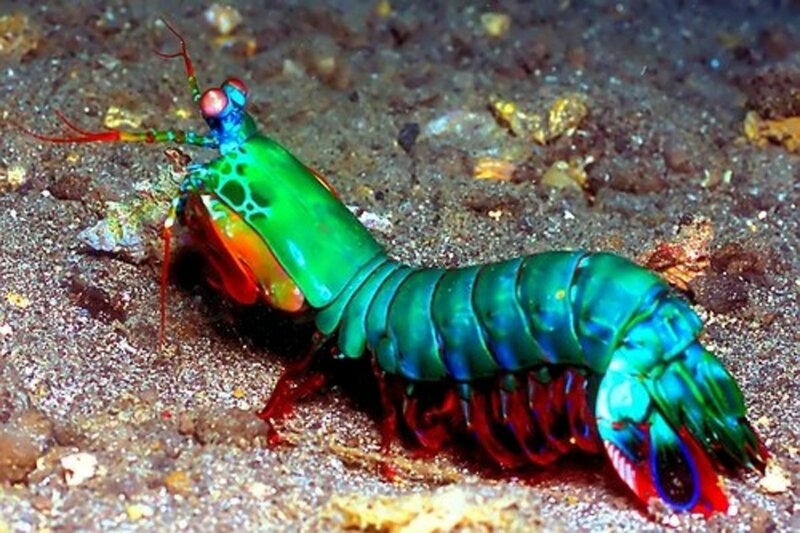 Did you know that the powerful claws of the mantis shrimp are in fact far more brilliant than was mentioned? In order to catch prey, the mantis shrimp closes it's claws so fast that it makes a vacuum air bubble and sound wave that travels faster than a 22cal bullet. This stuns its prey so it can eat it. The coconut crab sure has a lot of meat in it, maybe it has hints of coconut? Mmmm.. I was amazed when i saw "The Gaint Coconut Crab" Thanks Buddy. I don't. Like.the. Camel. Spider. Thank you all for reading and commenting - I never thought when i began this hub over 2 years ago the success that it would have - it is now over 100,000 hits and climbing! Thank you for this interesting and mind blowing hub :) Voted up and Interesting, useful and simply awesome!!! 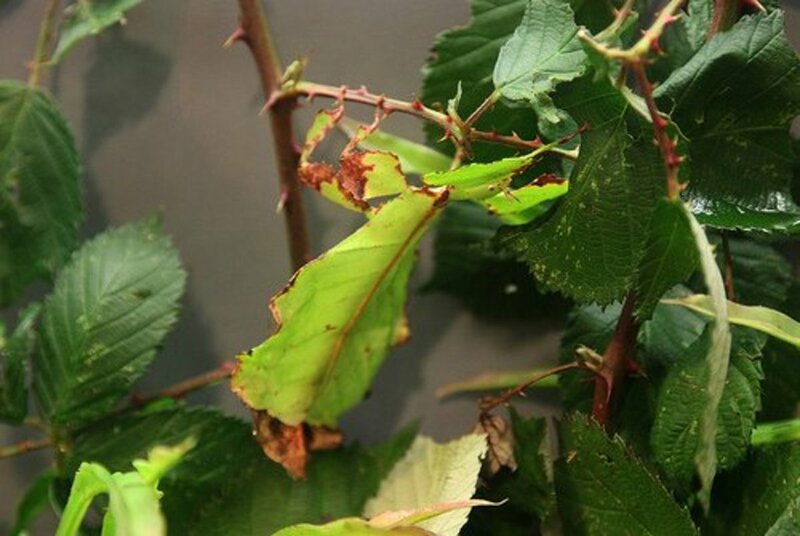 I have seen the walking stick and leaf insect before in person when I was younger :) We also have moths that I have seen where I live that look like Army camoflauge...really fascinating. 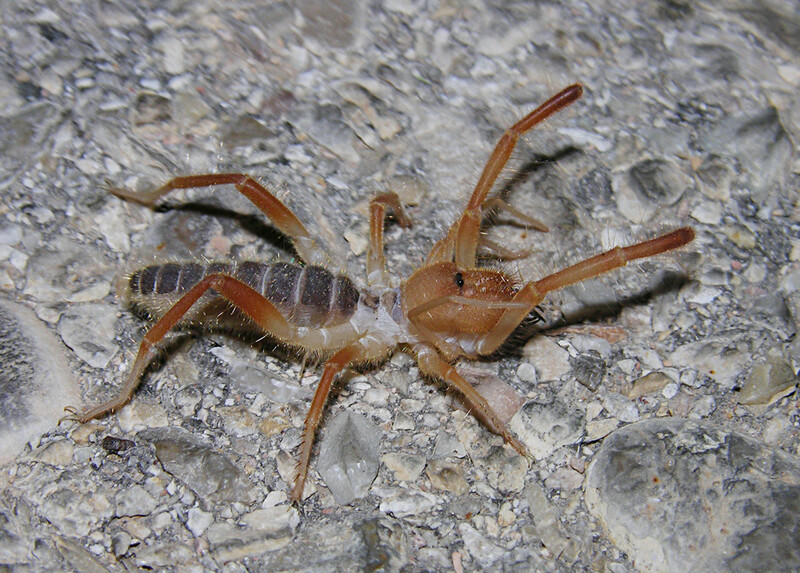 My brother has seen the camel spiders while in the Middle East (not so pleasant). Thanks again. Have a wonderful week. Fascinating article! I enjoyed it! What a unique and interesting hub. Some of these were just too adorable for words and others not so much! It's evident how much work you put into this well-written hub. Thanks for sharing. Voted up! My son and I had a good time looking at the pictures of the bizarre animals here. I was particularly freaked out by the Coconut Crab. If I saw one of these trying to pry open my garbage can I think I would run, and I'm a big guy. Great hub! WHAT AN AMAZING AMANIMALS.OH!!!!!!!!!!!!!!!!!!!!!!!!!!!!!!!! GOD THANKS. This must have been a difficult list to compile. I learned a lot from this hub. Vote up, useful and awesome! A truly wonderful hub ;so much to learn and fascinating. Voting up and looking forward to many more. The craziest thing on there for me has got to be that Coconut Crab. How I've heard of almost everything on there except that, blows my mind. I'm so doing research on that big arthropod. it's my first time to see mata mata!!! I loved this informative hub especially the pictures. Voted up, interesting and tweeted it too my friend. You should watch David Attenborough. Not only is he an amazing presenter with an obvious passion for nature, and the film quality excellent, but he's covered quite a number of these in his many nature documentaries. 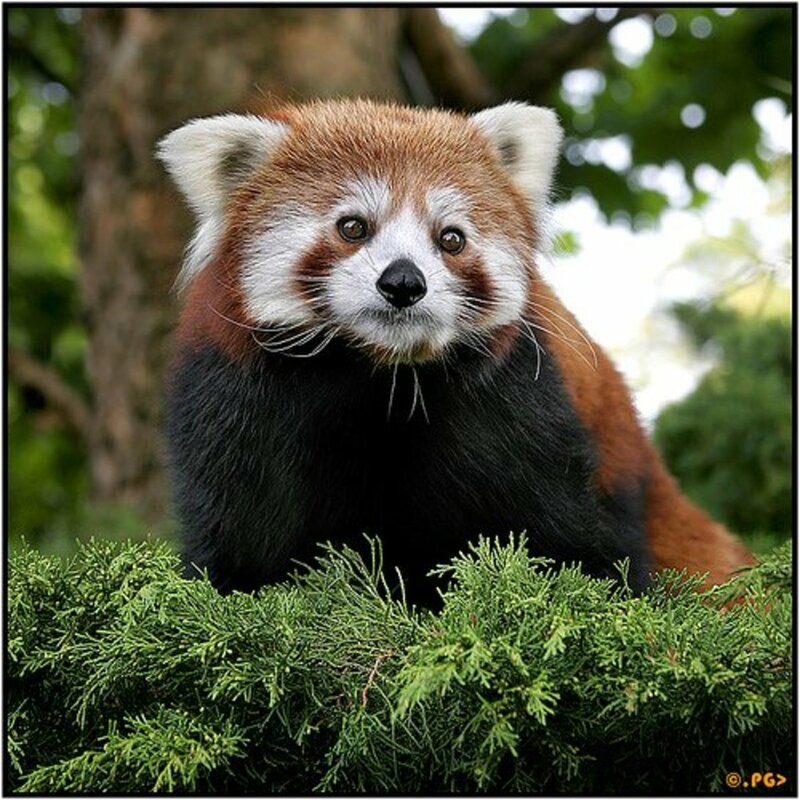 Thank you for the lovely pictures of the Red Panda. So beautiful. Thank you! It actually took about 6 months working on it a couple hours a day. What a gorgeous hub, you must have spent hours on this. Lovely photo's. The bottom picture of the camel spider is indeed two of them 'stuck together,' and also a little trick of the camera to make 'it' look even bigger. In reality most are around 5in long. Still big, and I've heard of guys and girls telling people they've seen 10-11in camel spiders, though I've never seen one that big myself (and doubt it, somewhat). However the 2 pictures above it are not camel spiders, or the work of one. 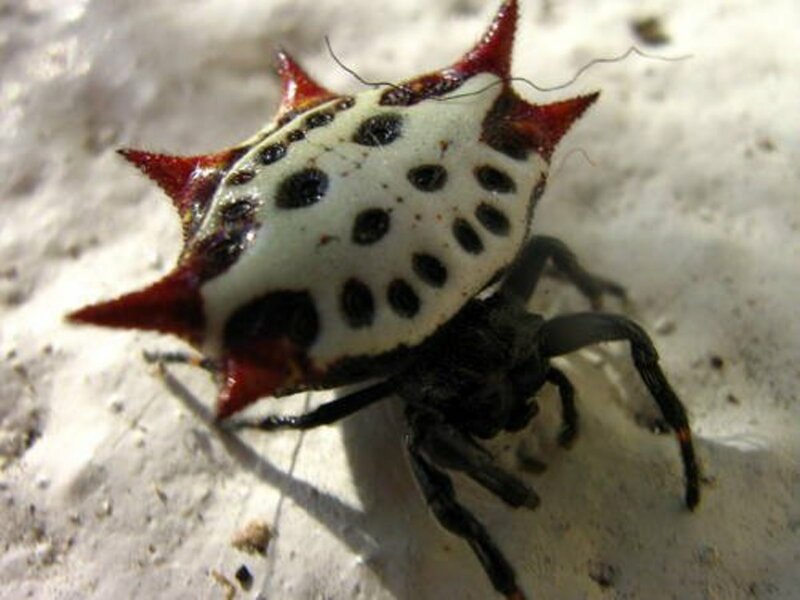 I have been deployed to both Iraq and Afghanistan and bitten by one of these devils (I refused to kill them for a while), and they do have a powerful and painful bite... but they are not venomous. Bites do tend to get infected, though, and that is why they earn their bad rep in places like Iraq and Afghanistan (even Africa) because of the hygiene issues and lack of proper medical care in a lot of these places. Soldiers or contractors rarely get infected because of the facilities we have on base, but we try to avoid being around them all the same. The bite feels like being pinched with the tip of scissors until they slice the skin. Not pleasant. Had to go look it up, that is crazy awesome, never heard of them before. If I ever decide to expand the list it will definitely make the cut.